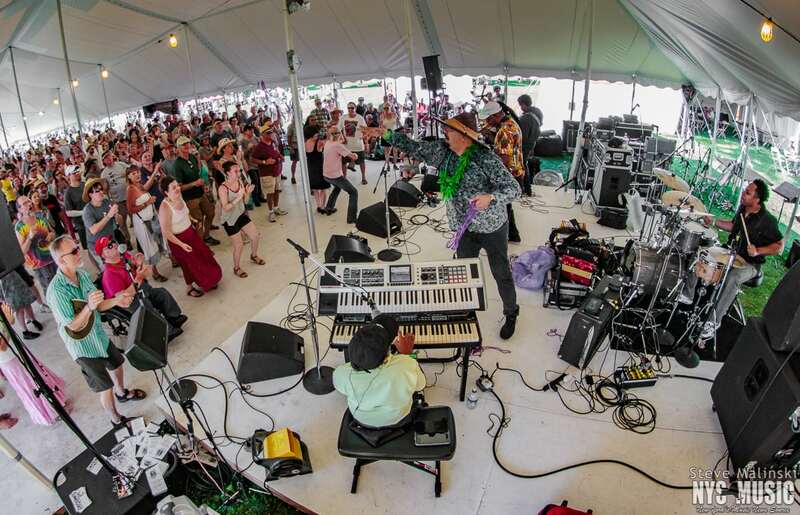 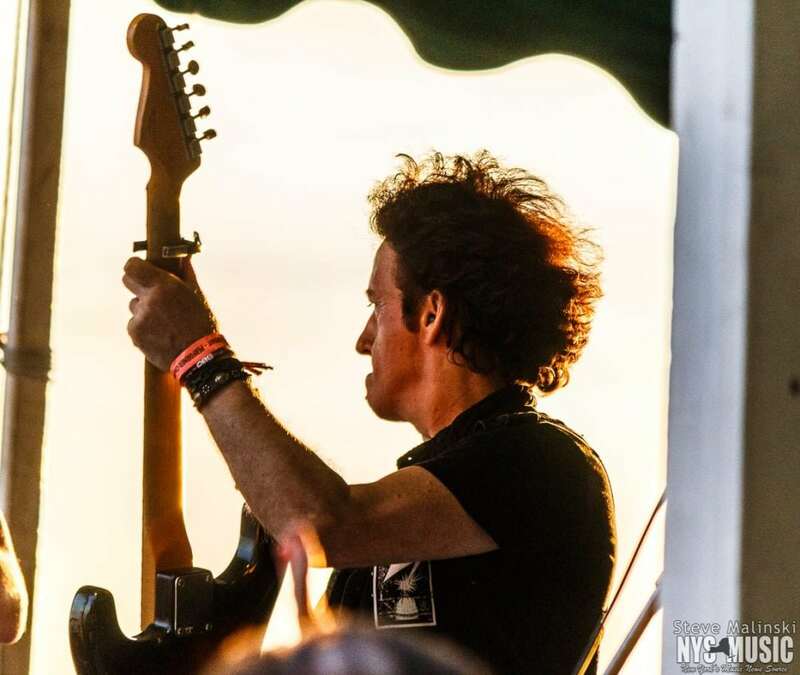 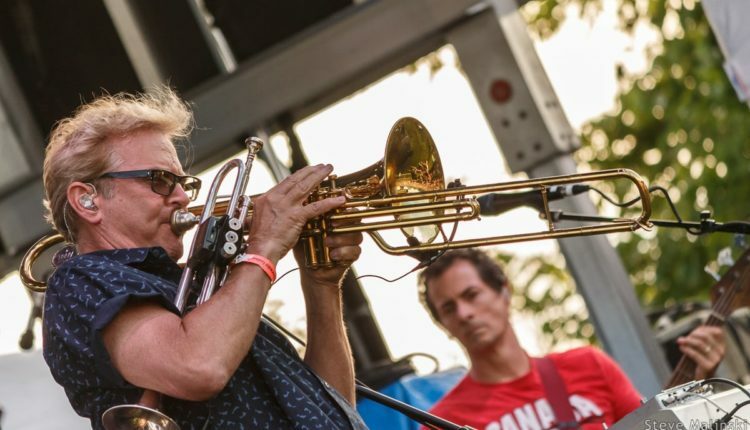 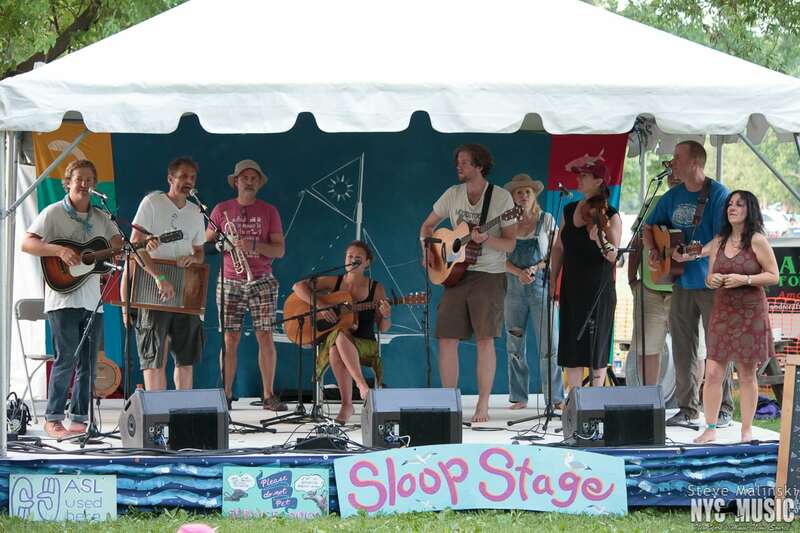 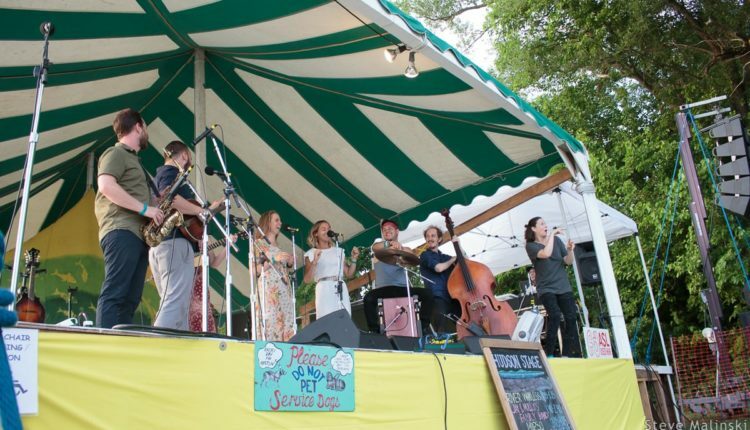 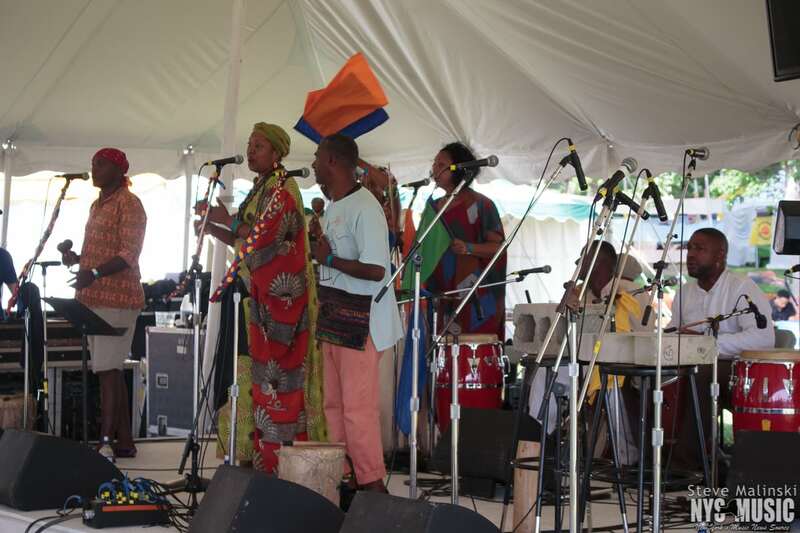 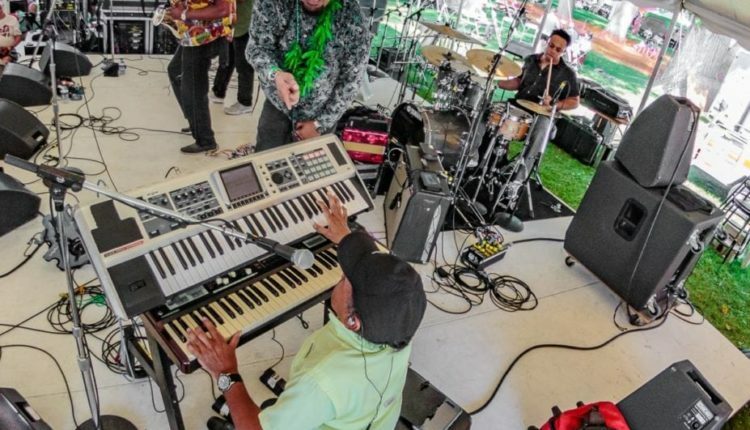 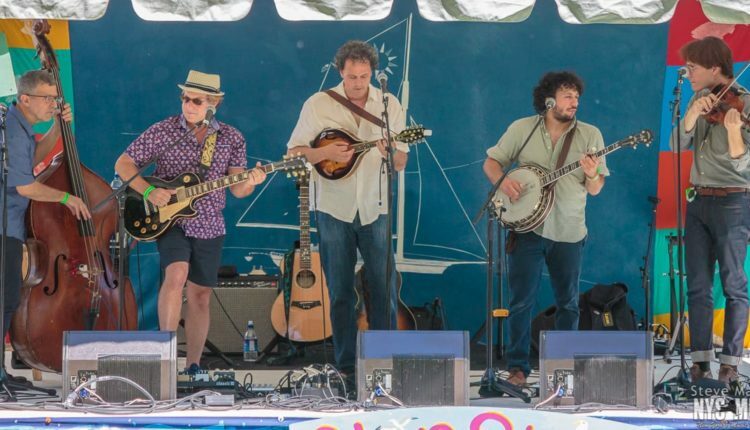 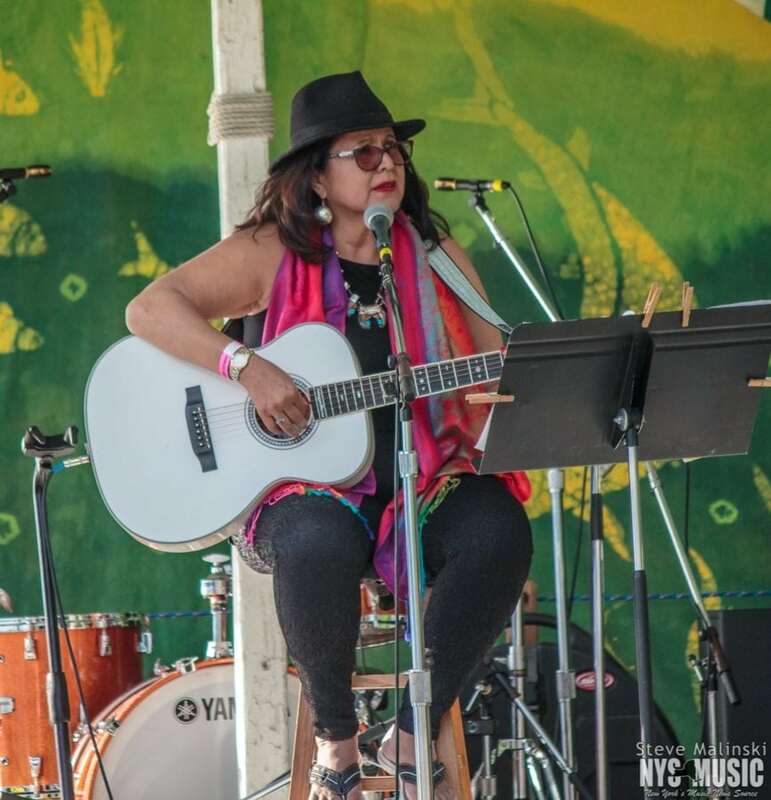 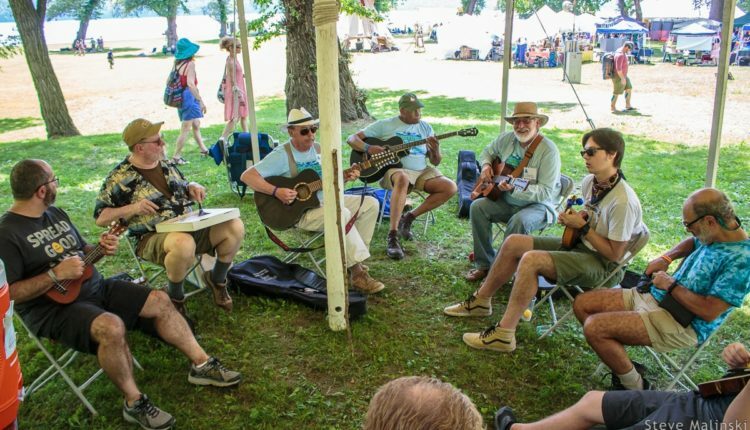 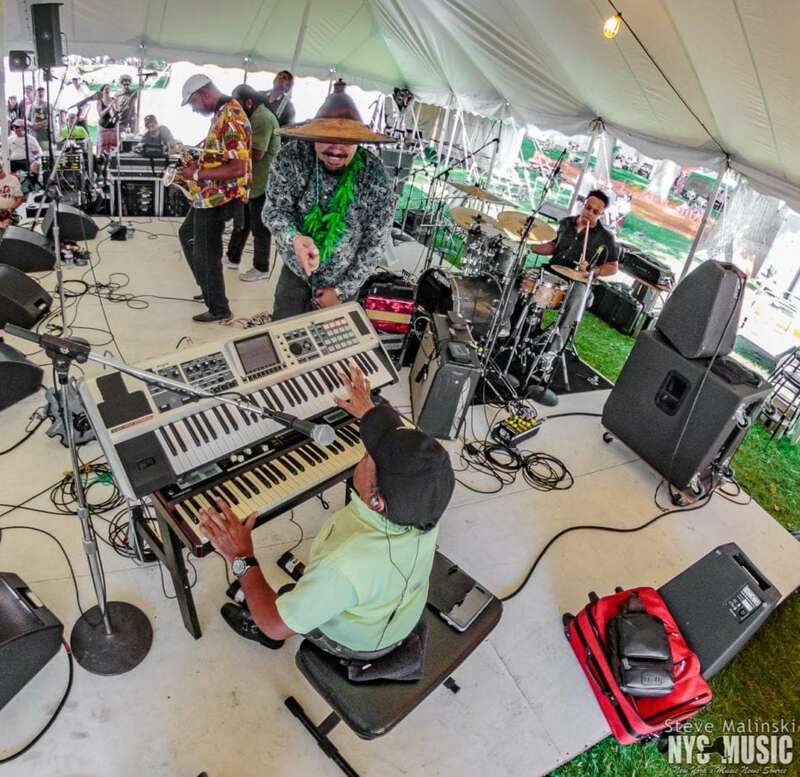 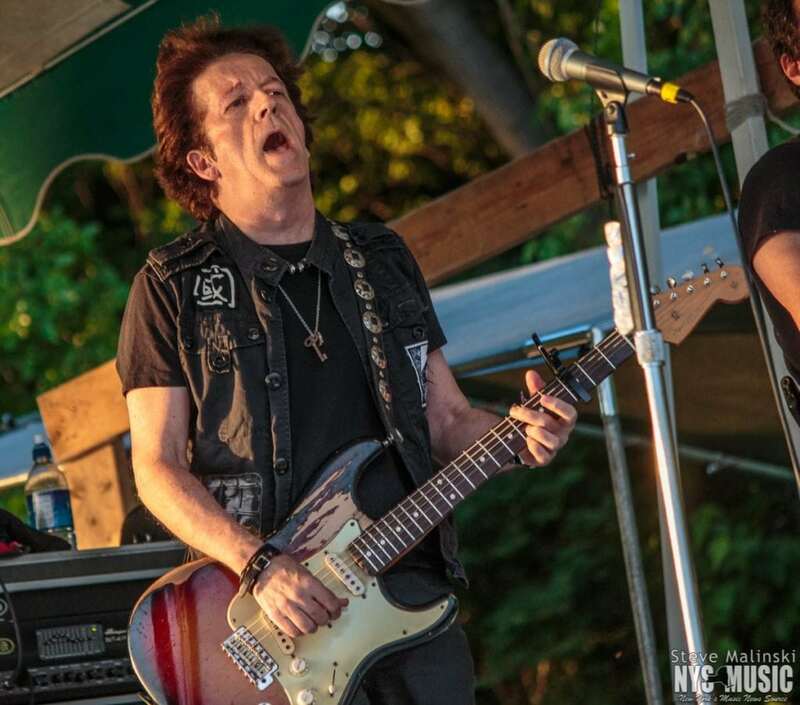 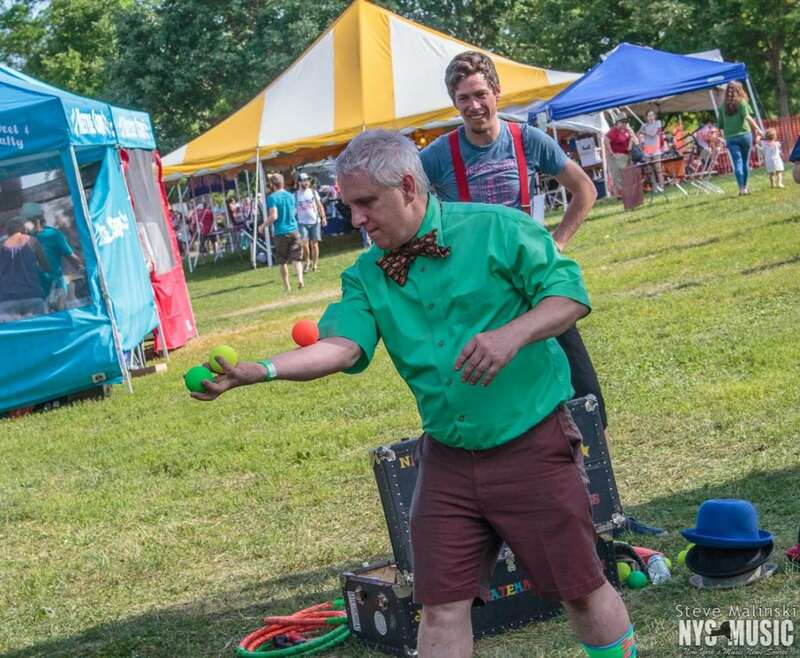 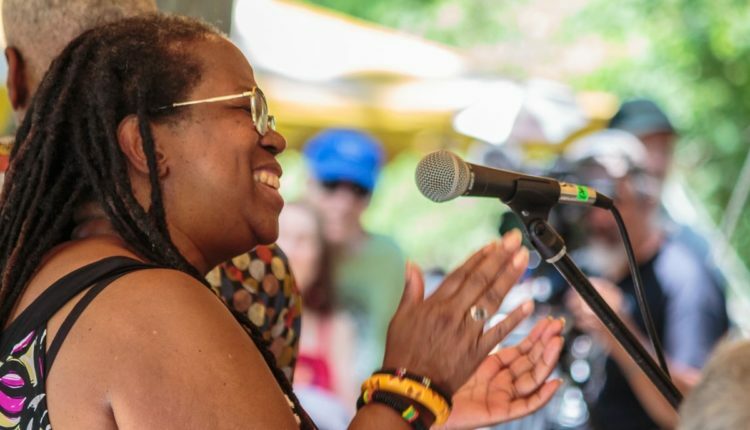 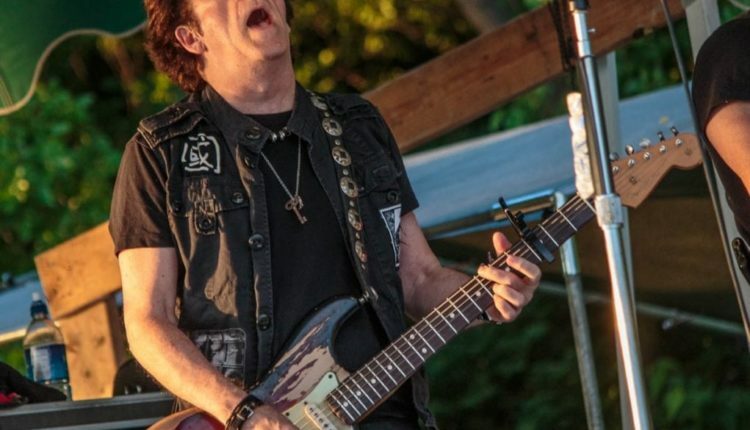 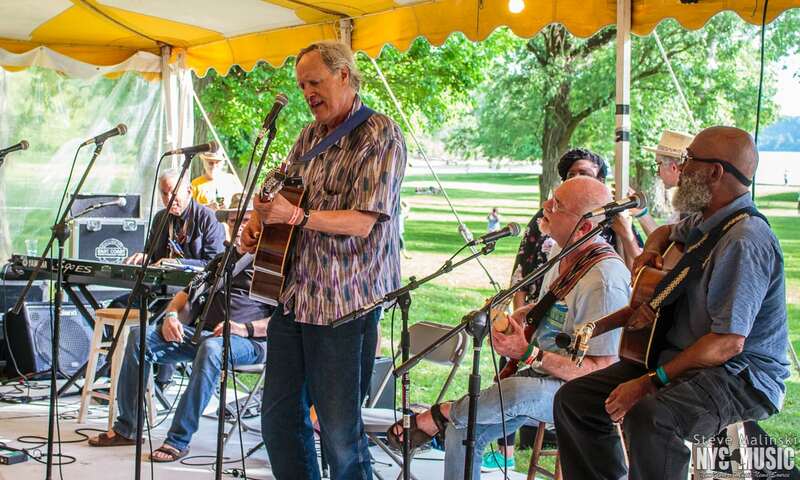 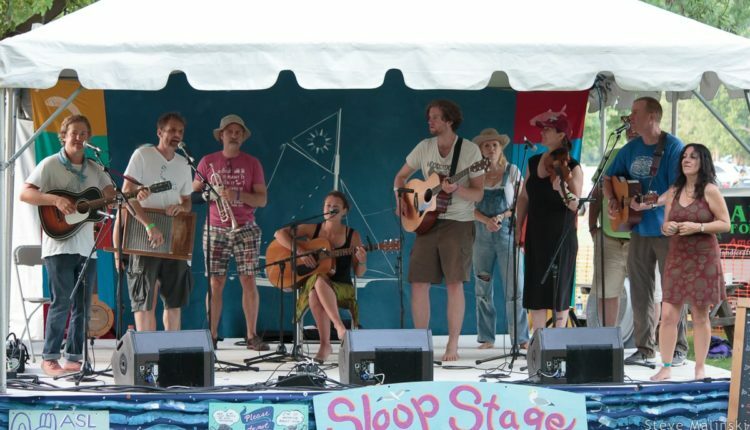 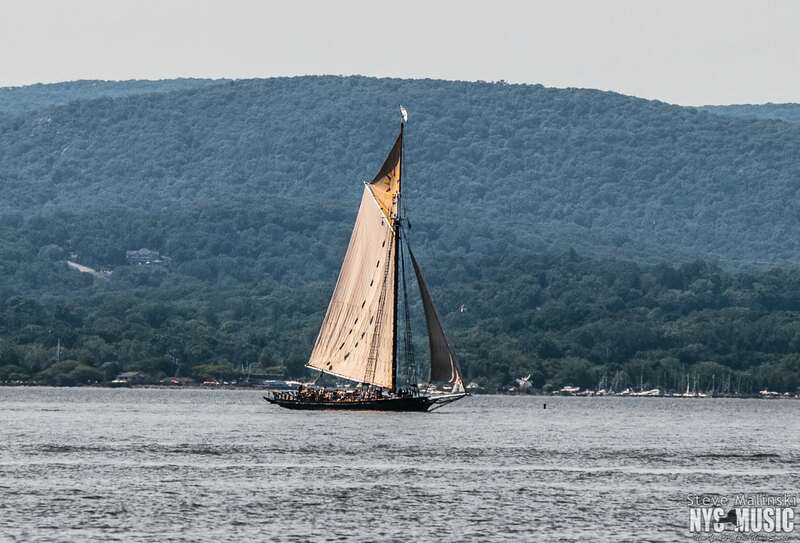 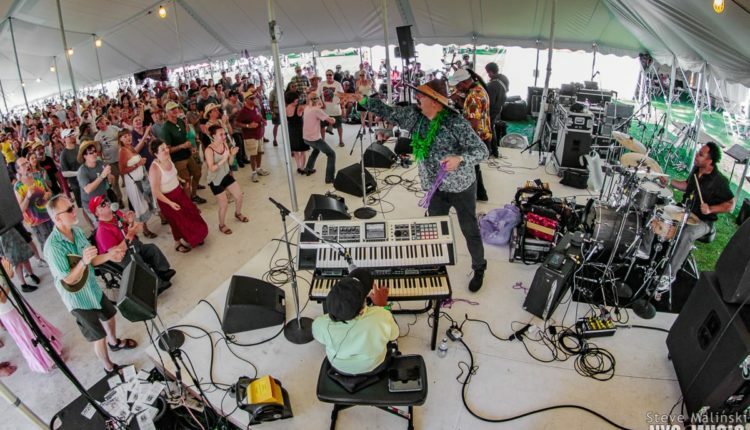 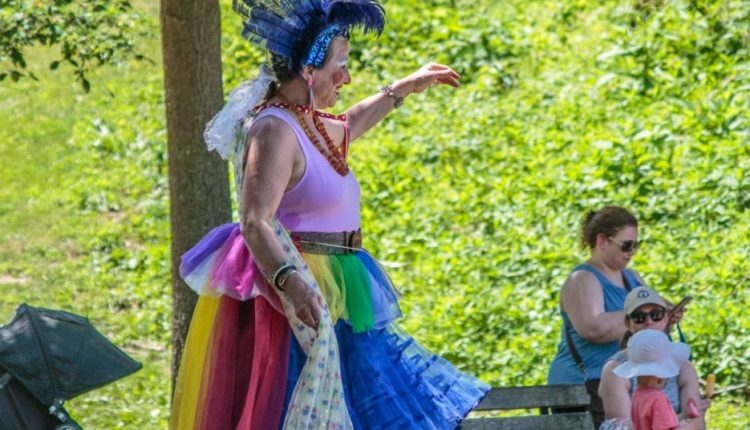 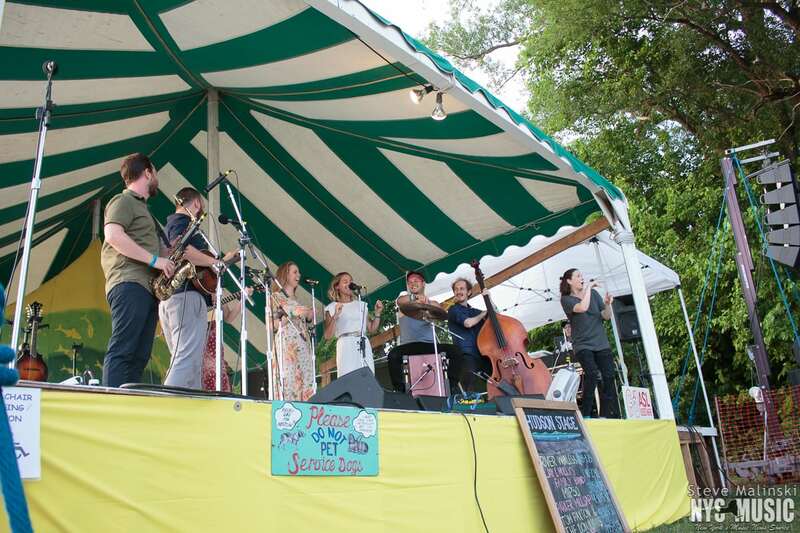 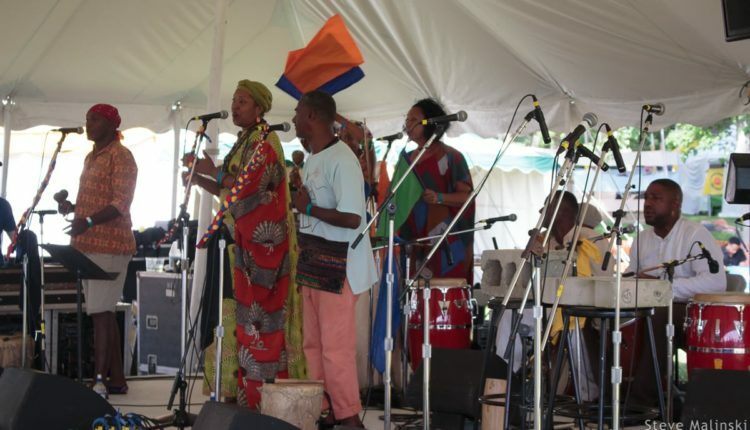 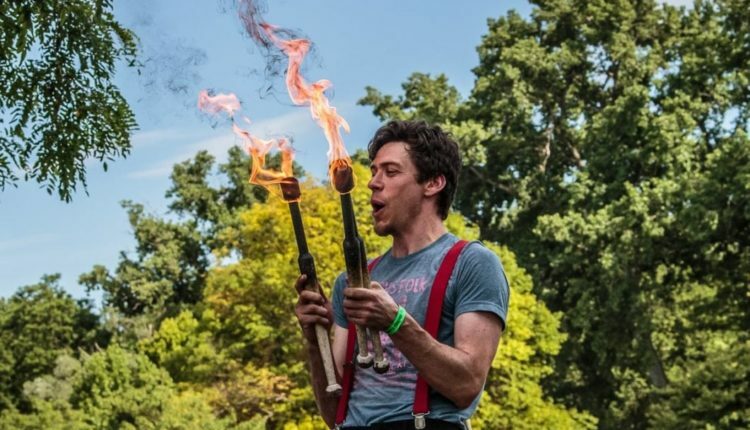 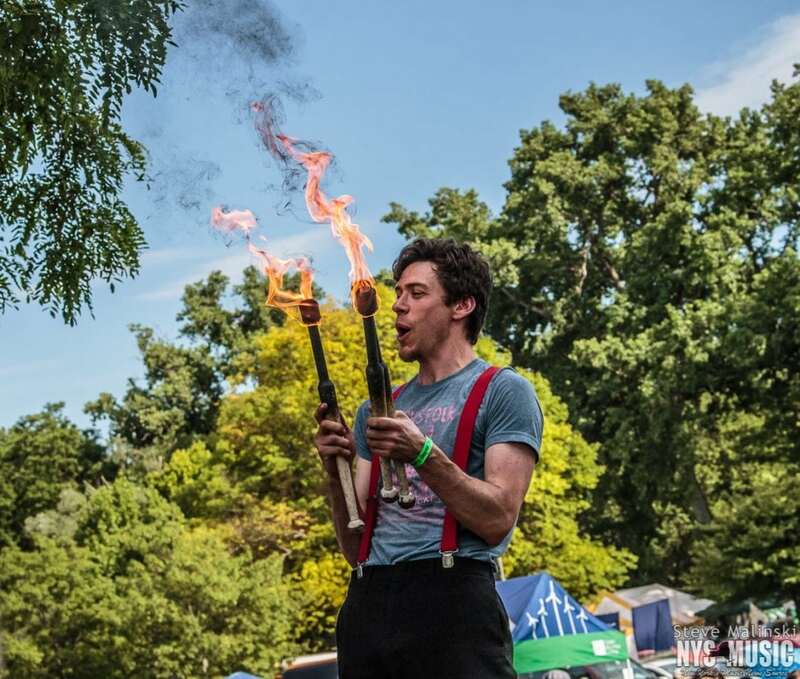 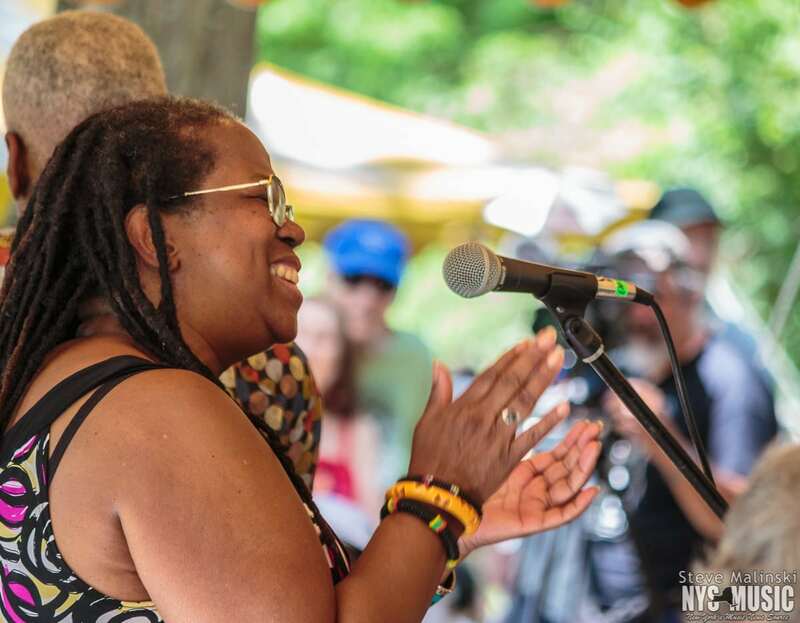 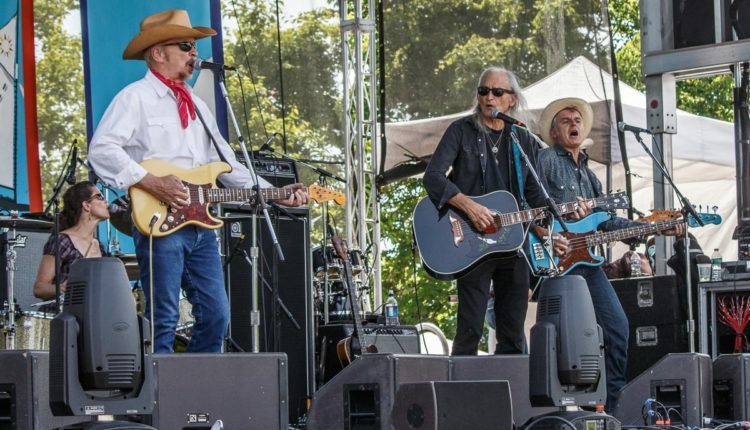 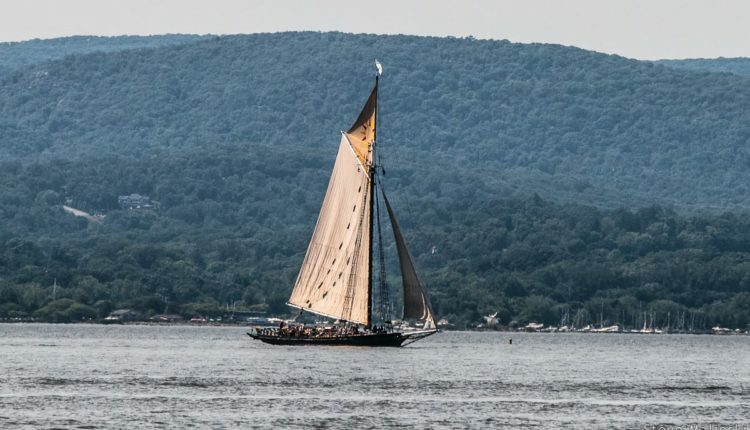 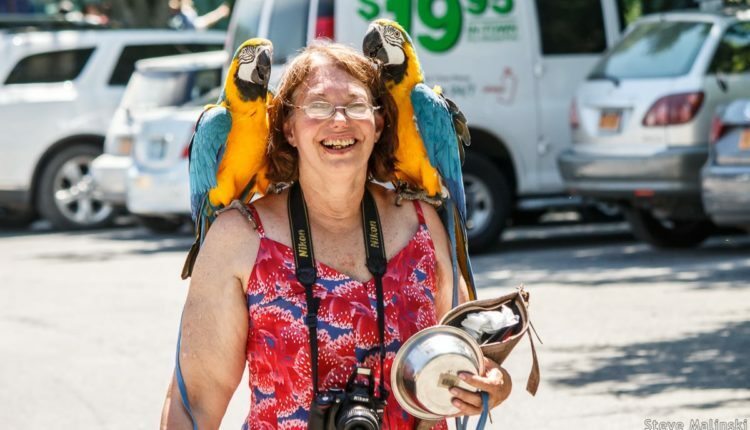 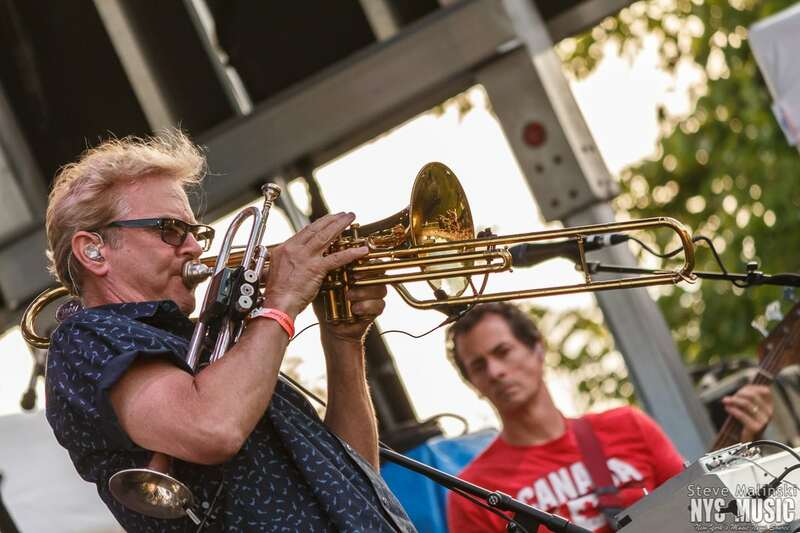 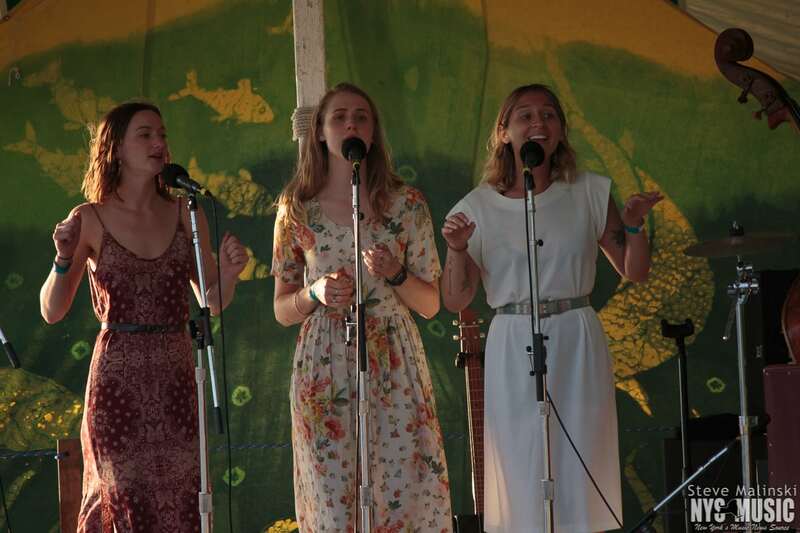 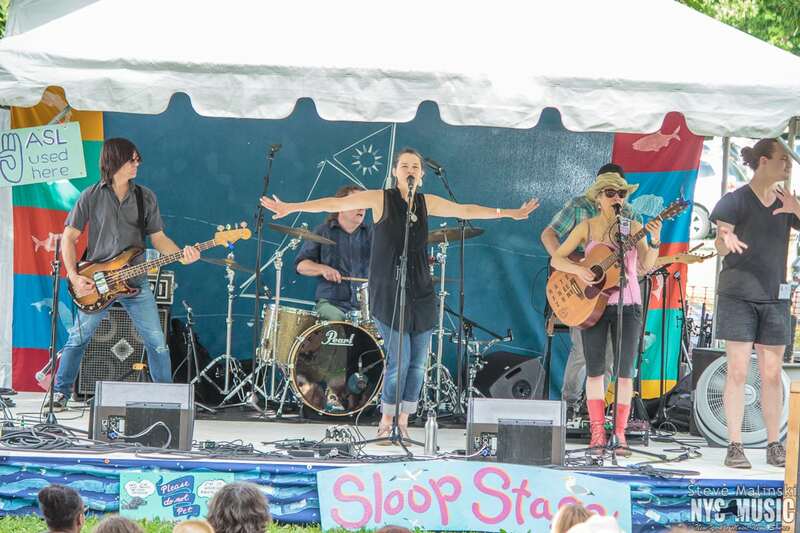 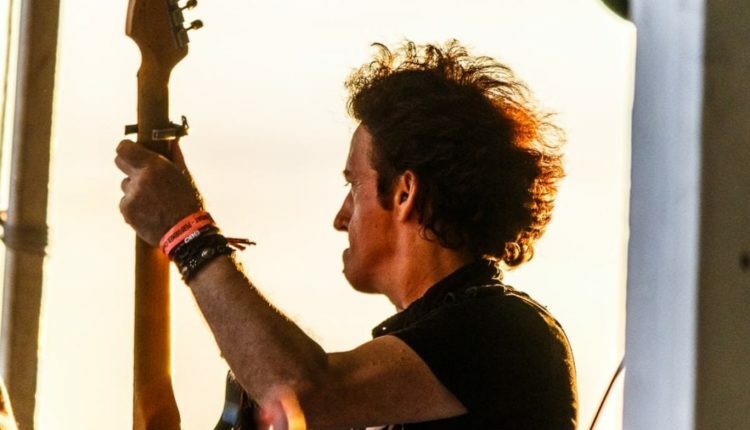 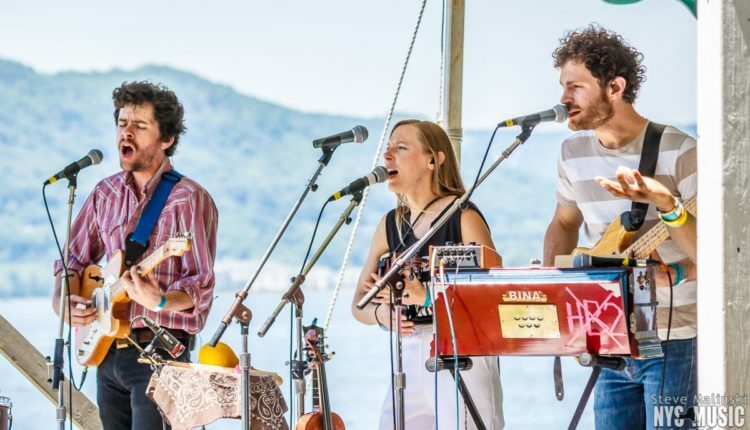 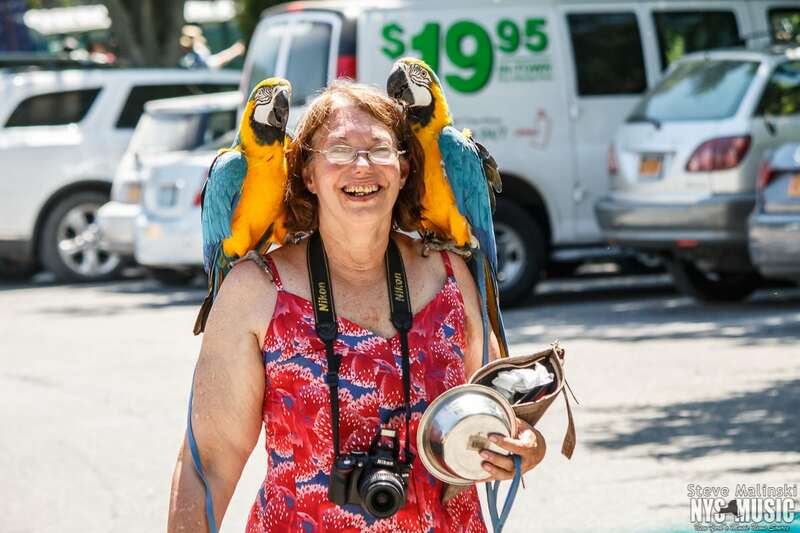 Clearwater’s Great Hudson River Revival returned to the shores of the Hudson River in Croton-on-Hudson June 16-17 for another sunny (and warm) weekend of music and environmental activism. 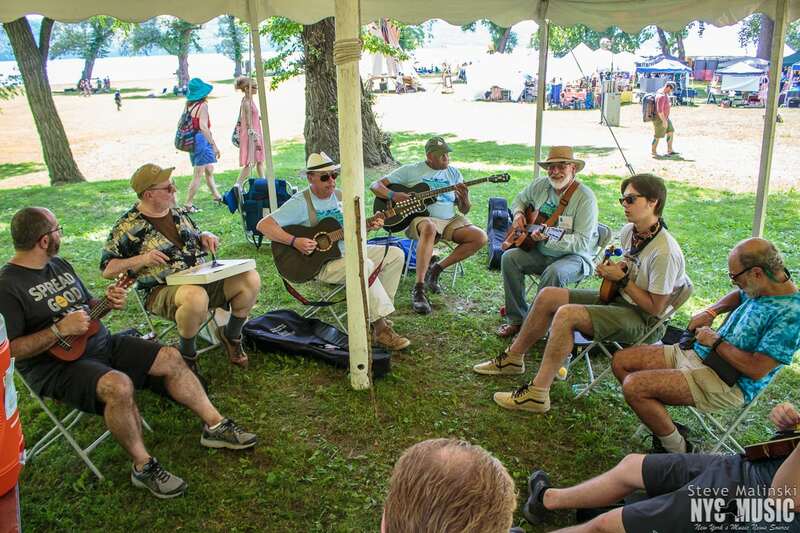 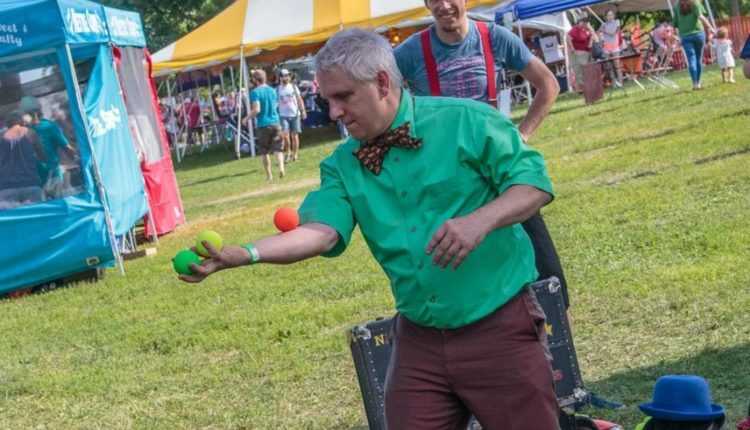 Taking place during Father’s Day weekend as it normally does, the festival welcomed families with a little something for everybody. 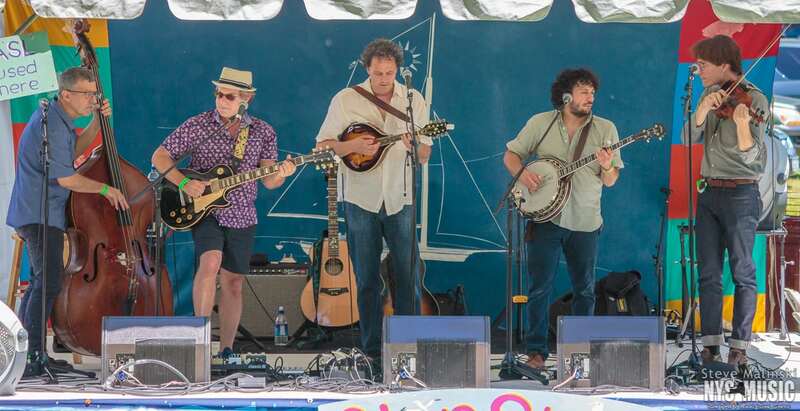 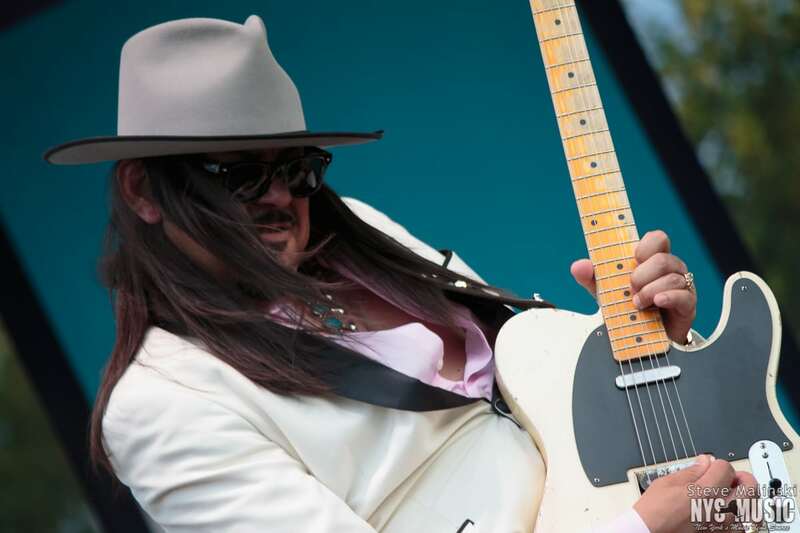 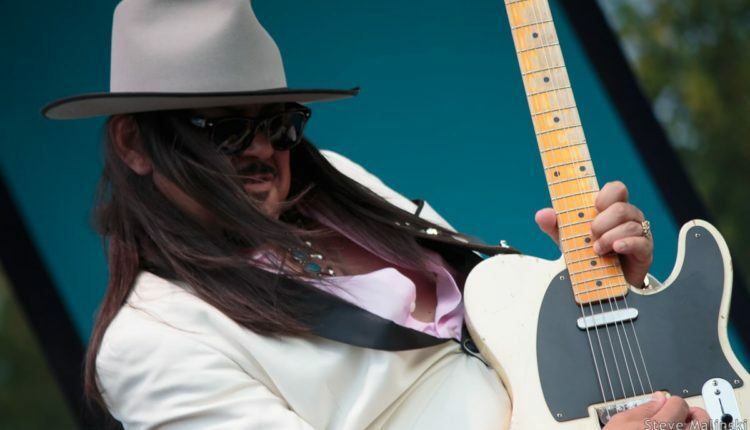 Saturday featured several Clearwater regulars and favorites soloing and in collaboration. 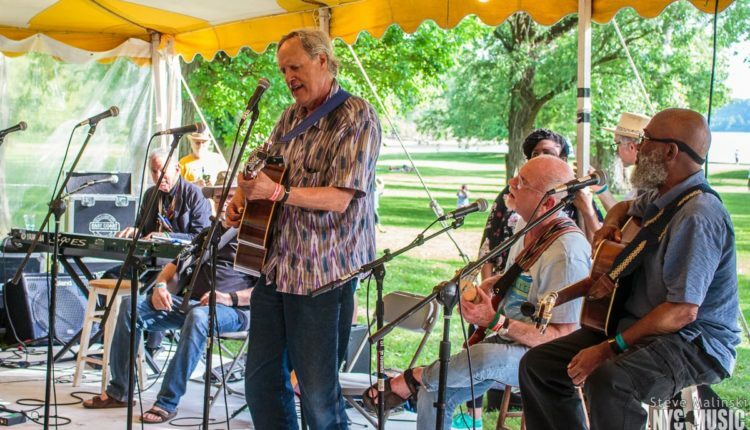 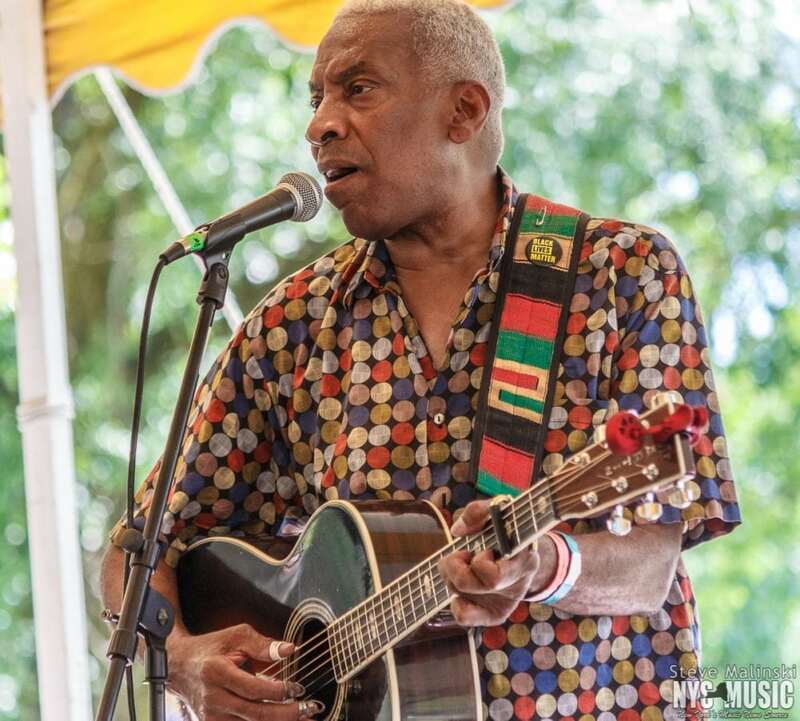 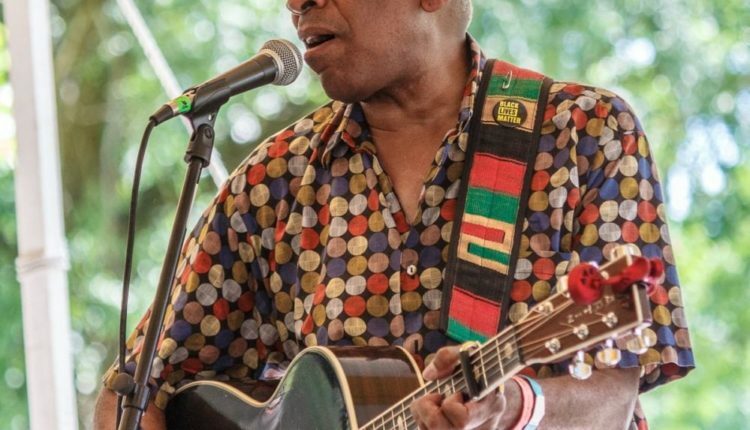 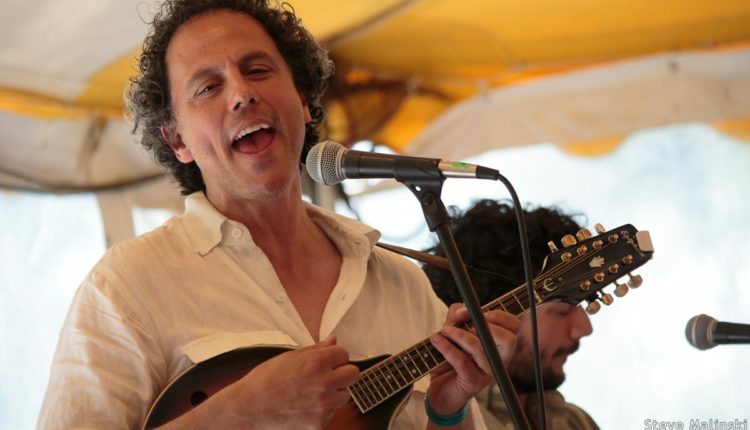 Kim & Reggie Harris, David Amram, Tom Paxton, and others joined together for a tribute session to Leadbelly and returning for a Hudson Valley song swap were locals Matt Turk, KJ Denhert, The Levins, and Sloan Wainwright. 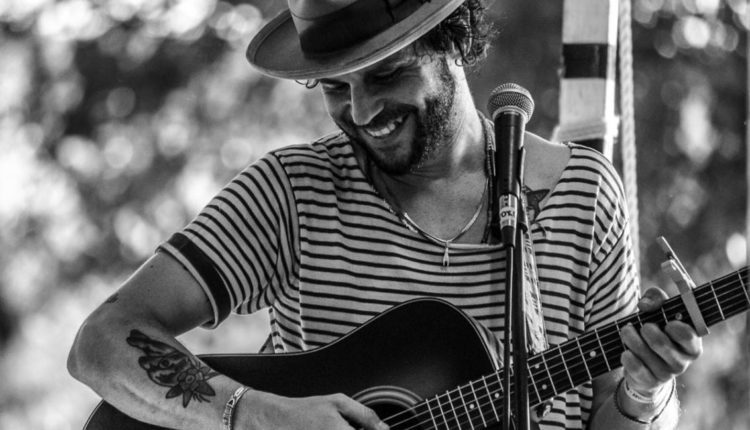 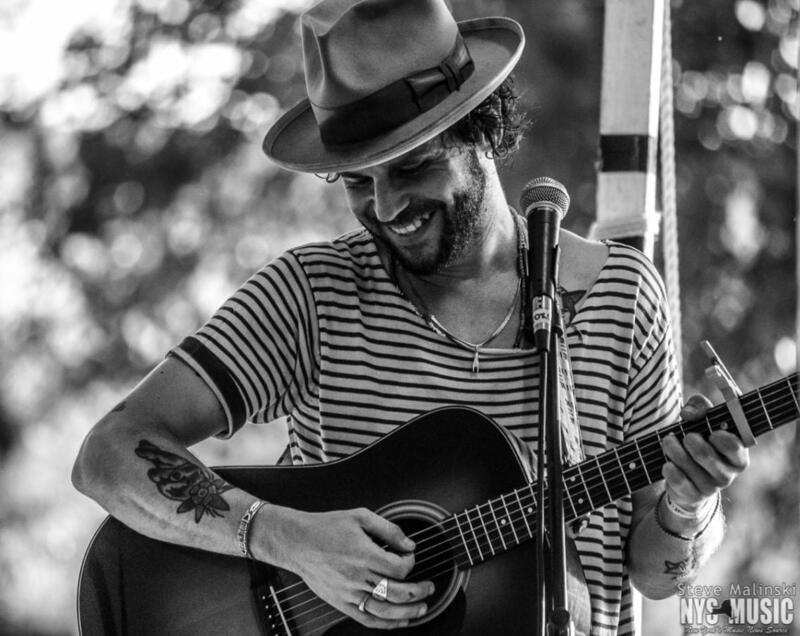 Langhorne Slim, a singer-songwriter from Pennsylvania who has some connections to the lower Hudson Valley, made his Clearwater debut with a full band set at the main stage and later a solo acoustic set where he got more personal with the songs and smaller crowd at the workshop stage. 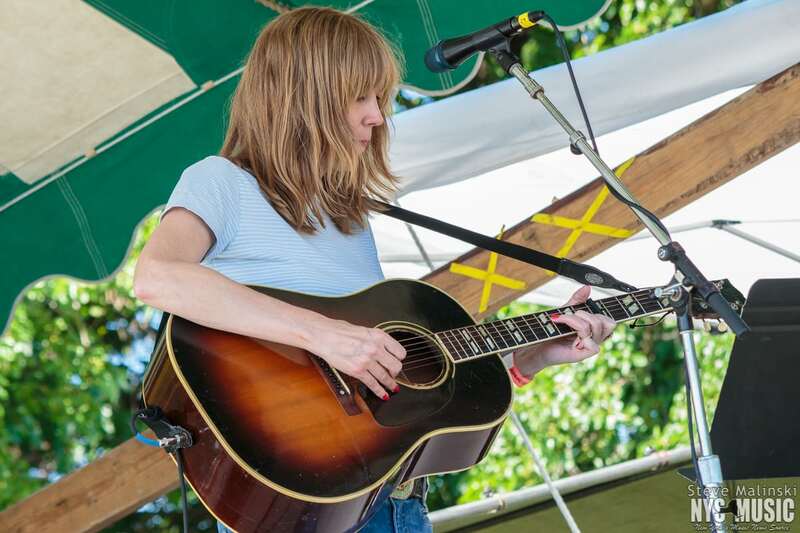 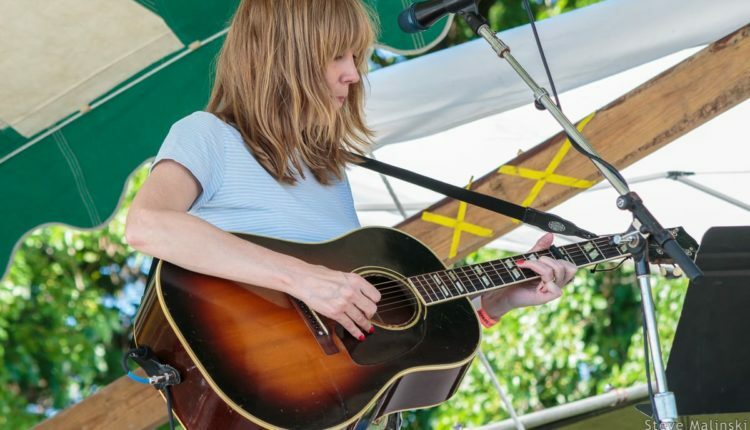 Mid-afternoon English singer-songwriter Beth Orton treated the crowd to a different sound in the folk-rock fashion. 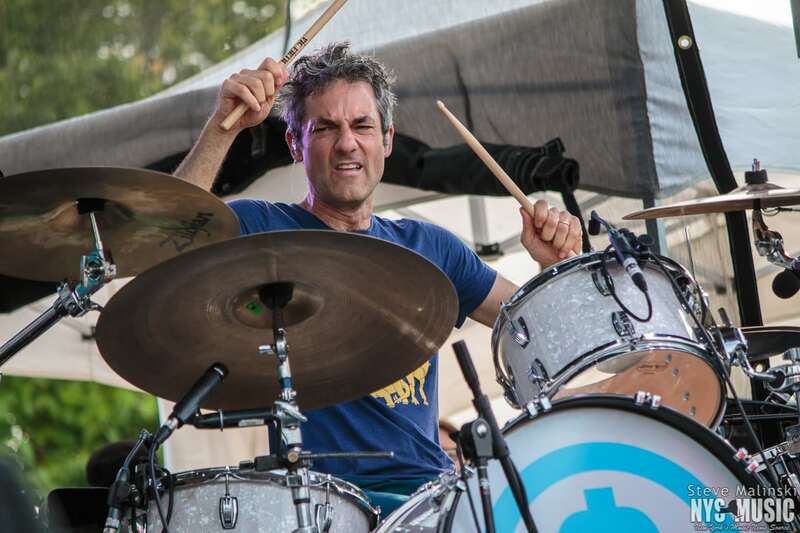 Brooklyn’s well-known They Might Be Giants stretched the bounds of the typical Clearwater style yet were a hit at the main stage late afternoon. 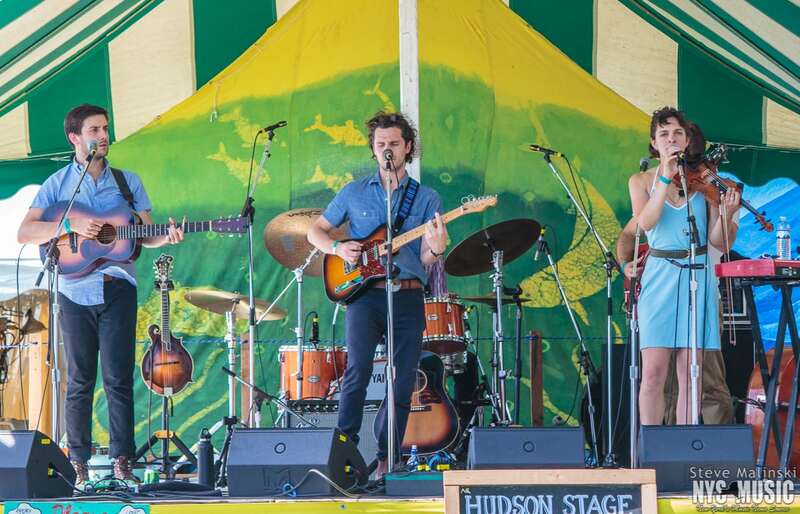 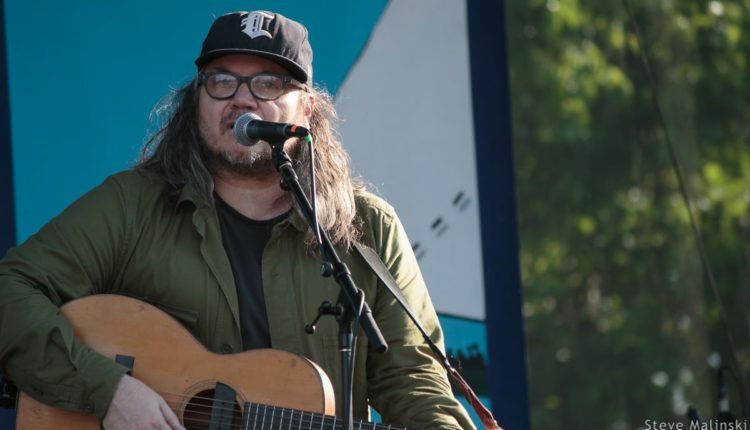 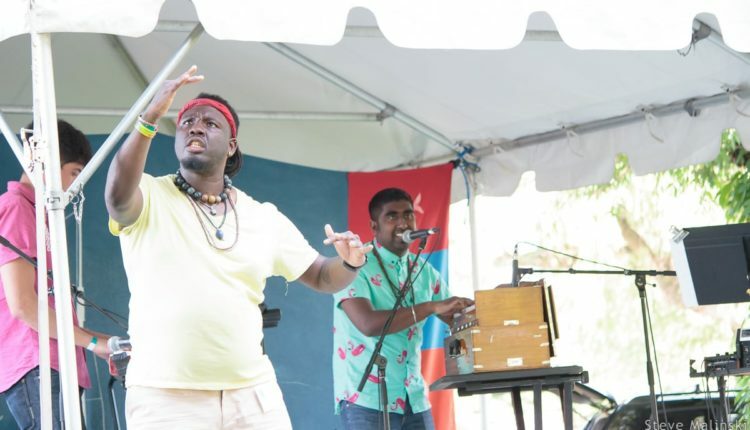 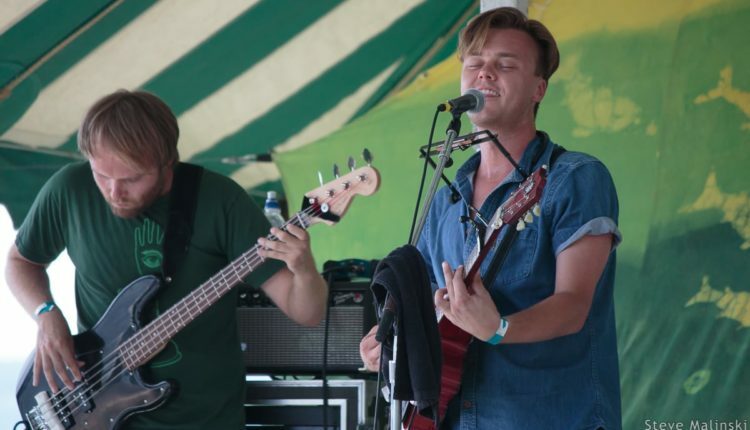 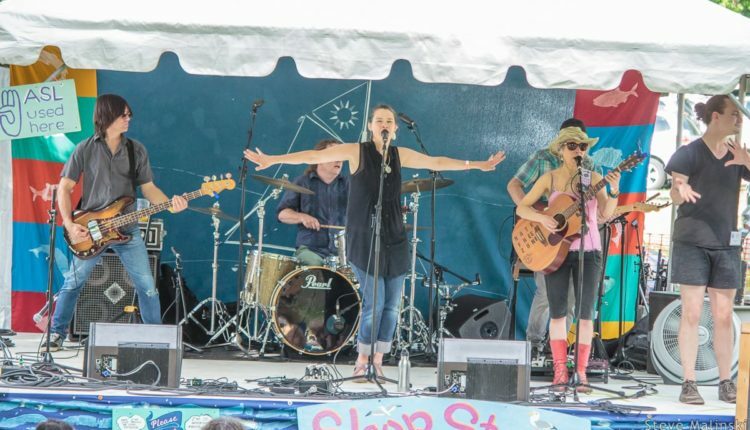 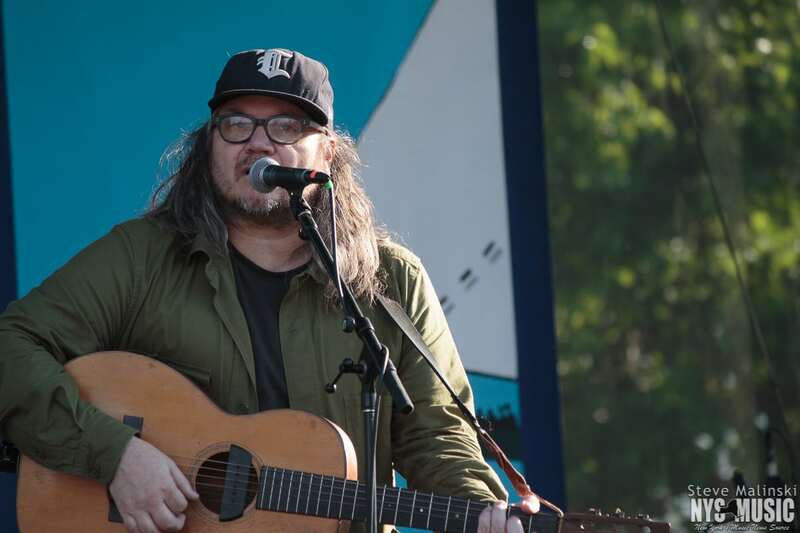 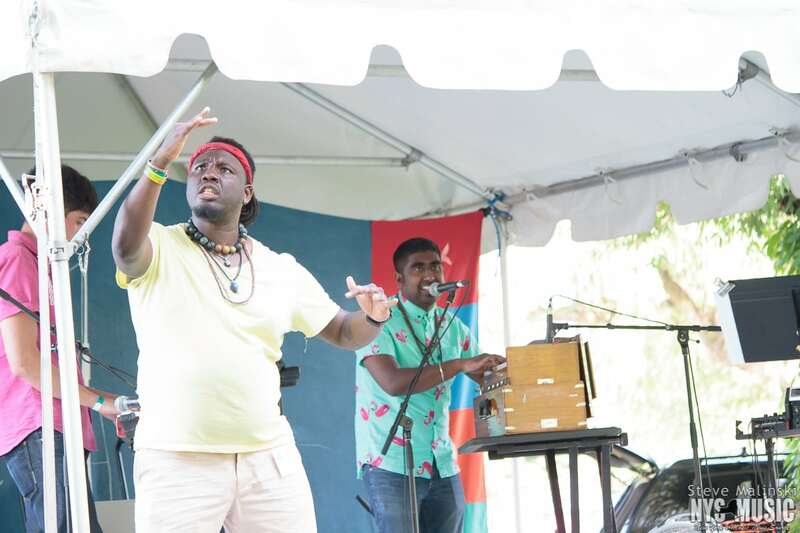 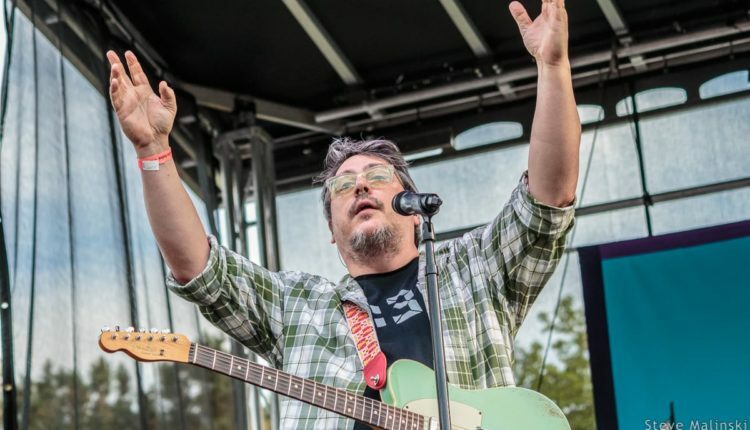 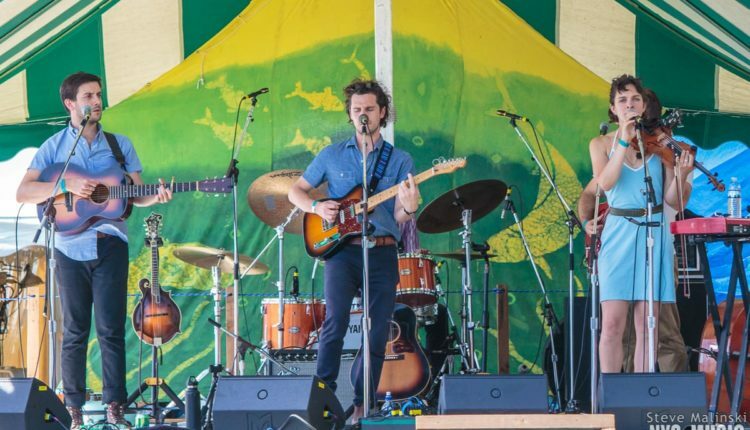 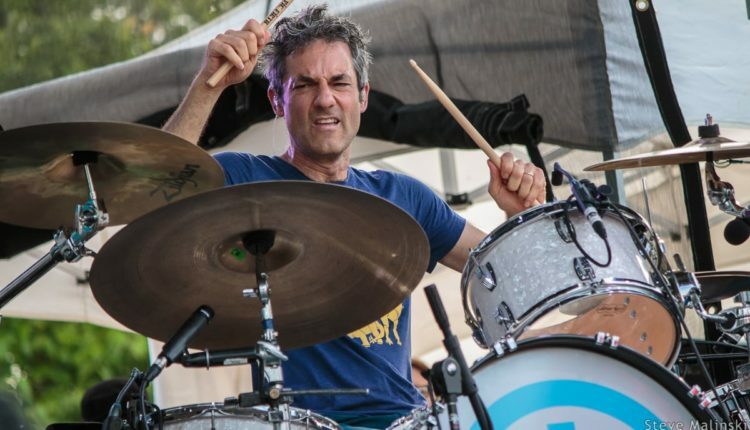 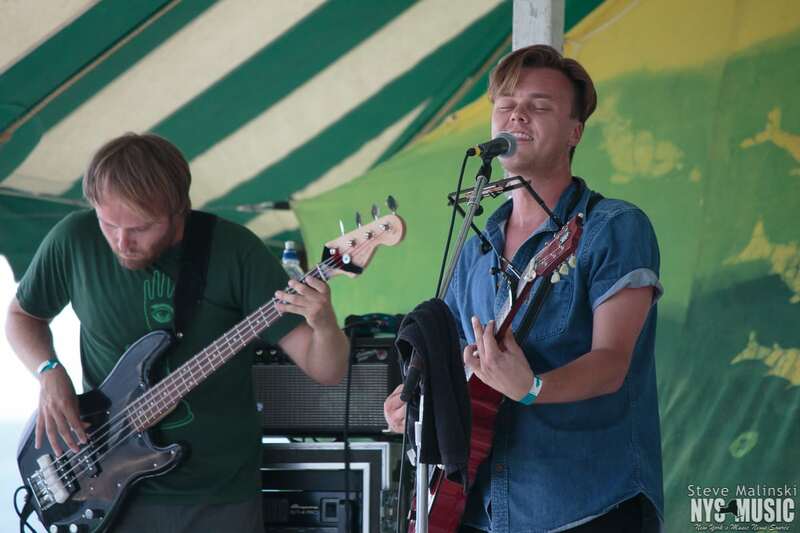 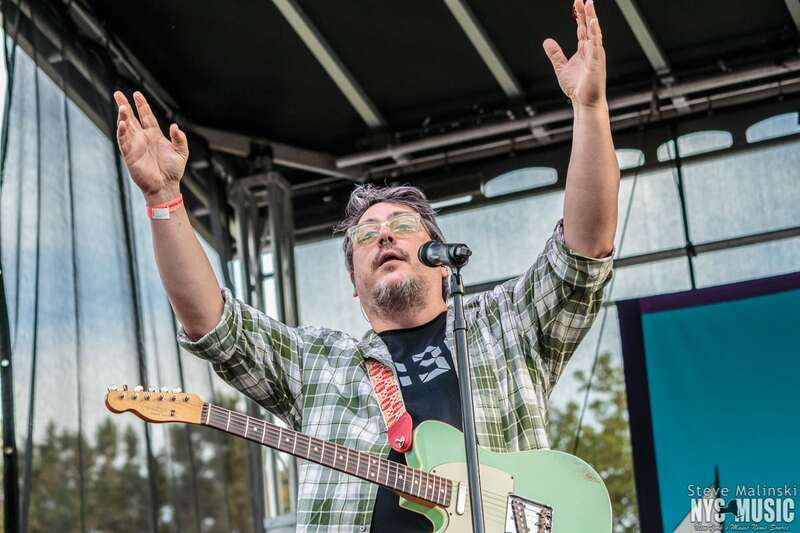 Another Clearwater newcomer, Upstate Rubdown, was having a lot of fun during their three sets – two Saturday appearances including a festival opening set and a set to close the Hudson Stage on Sunday. 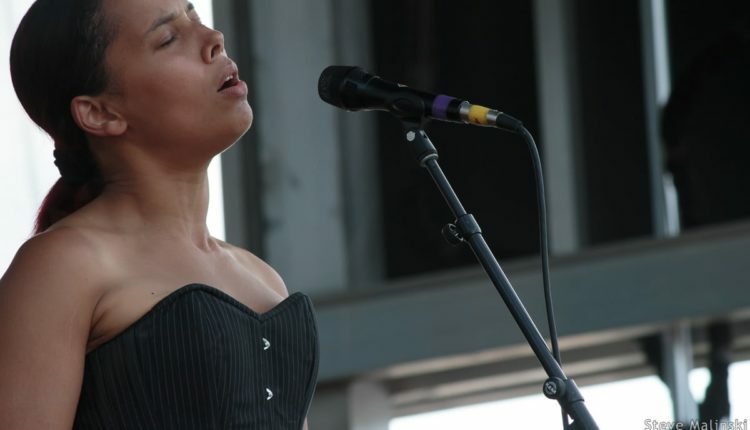 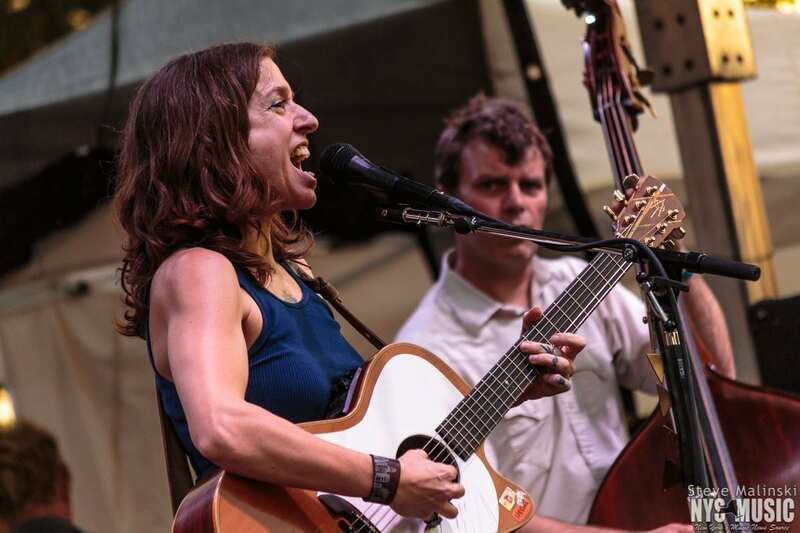 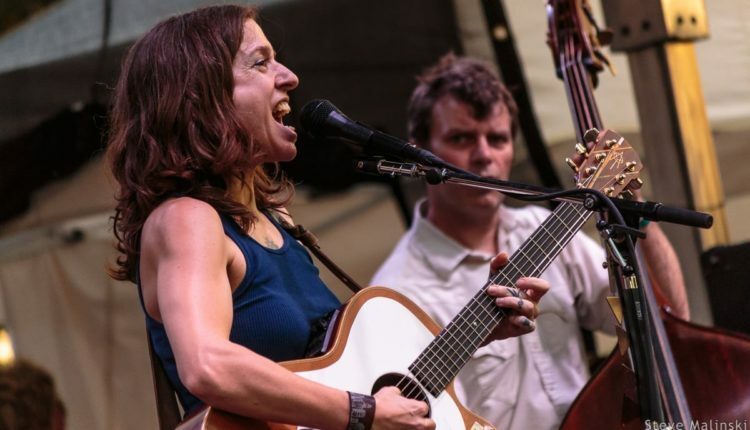 Ani DiFranco made yet another strong impression on the festival with her set which closed out Saturday’s festivities. 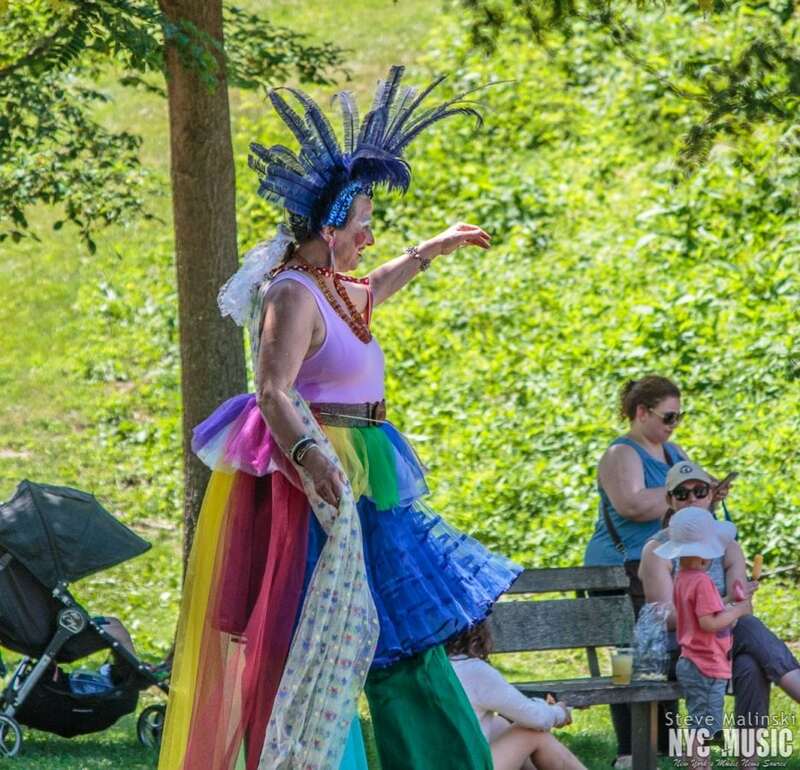 Sunday was about as warm as Saturday, but the heat and sun was much more welcomed than some of the rainy weather seen at past Clearwater weekends (2015 was more of a wash in the park instead of a walk). 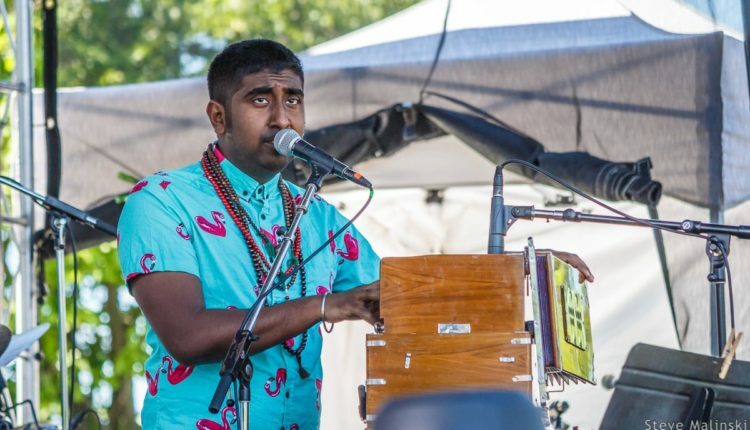 Zeshan B, an American musician born to Muslim immigrants, put on two sets that day bringing together the pop/rock appeal of Western songwriting with elements of tradition from his parents’ native India. 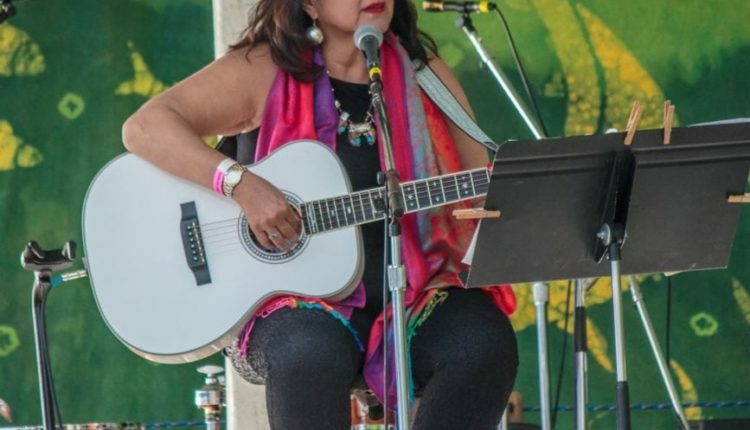 Continuing with international sounds, Betsayda Machado took the stage with music written by her in Venezuela. 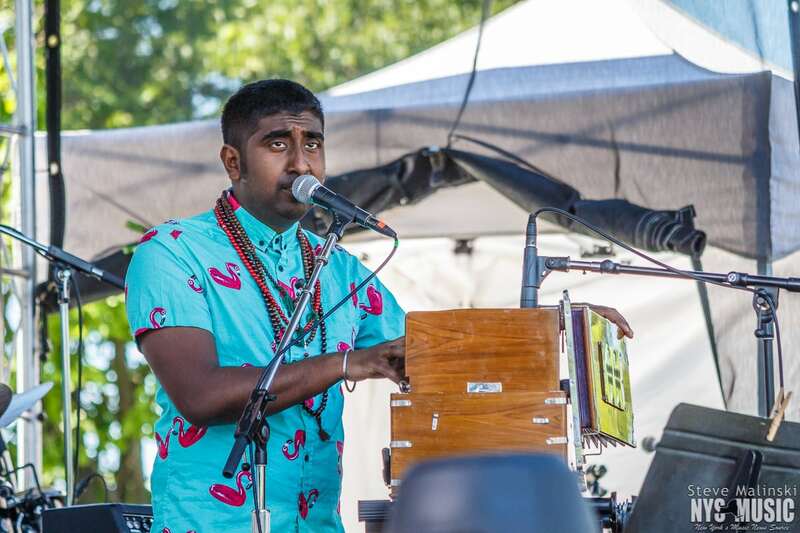 Opposite Zeshan B’s set, River Whyless struck some unique folks sounds weaving between the modern likes of Fleet Foxes and the muse of Bob Dylan. 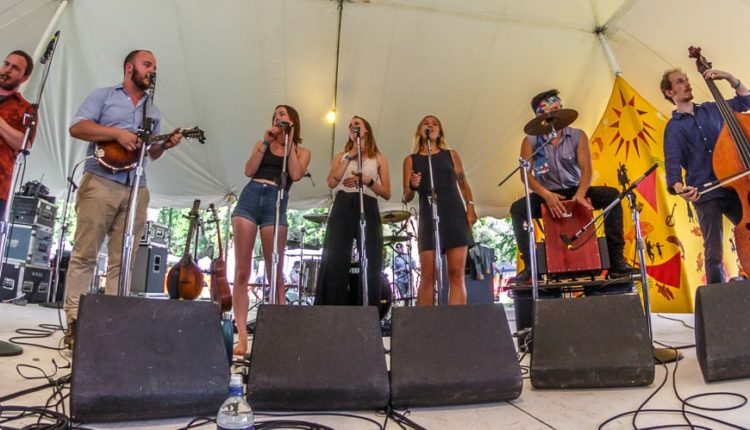 Deadgrass put on two sets, with a lot of Deadheads coming out of the woodwork for both sets. 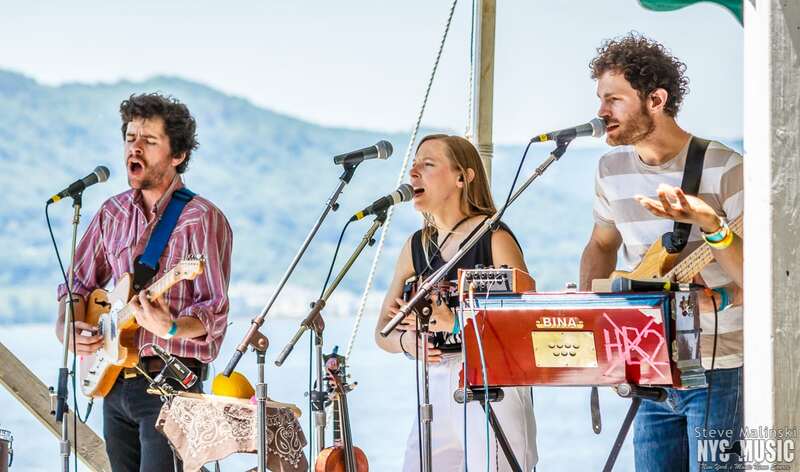 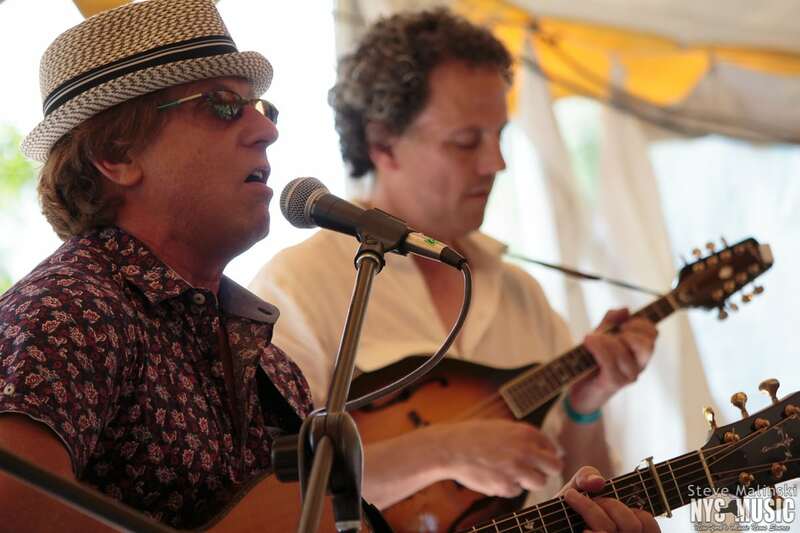 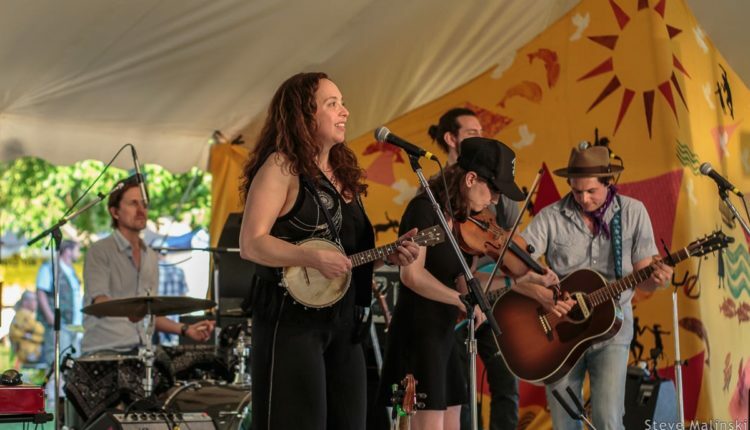 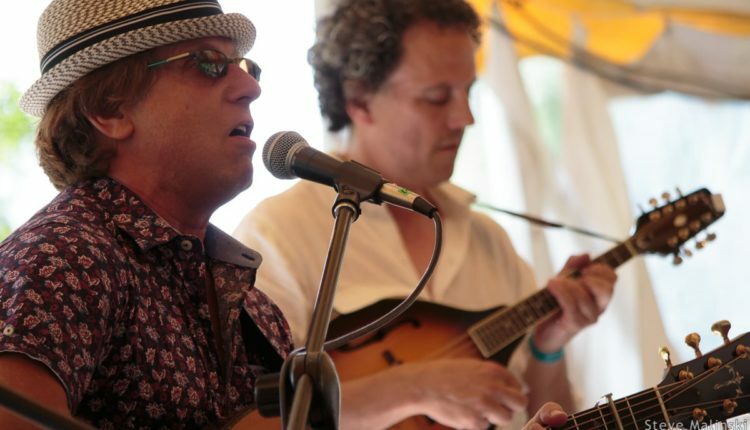 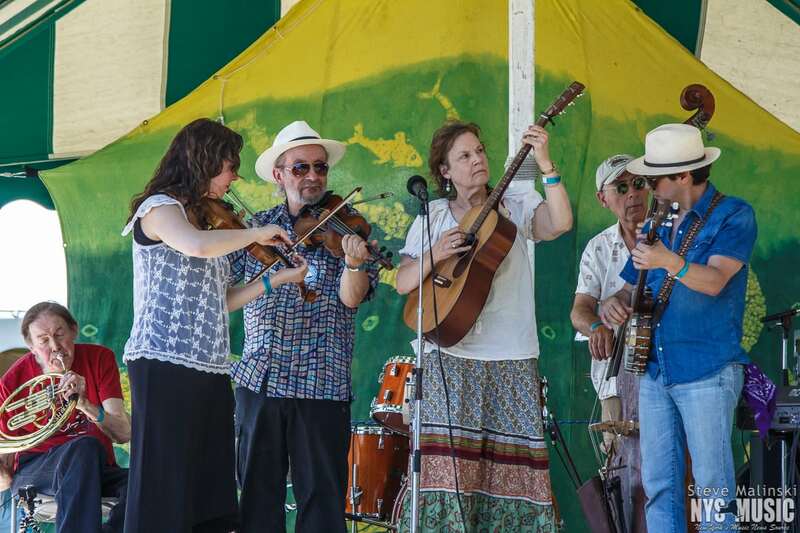 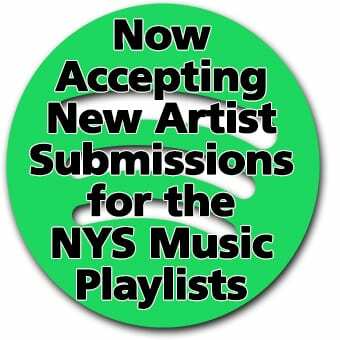 Made up of musicians from the lower Hudson Valley, Deadgrass interprets the Grateful Dead and Garcia libraries through the bluegrass style with renditions that can both be danced to and enjoyed in a relaxed setting. 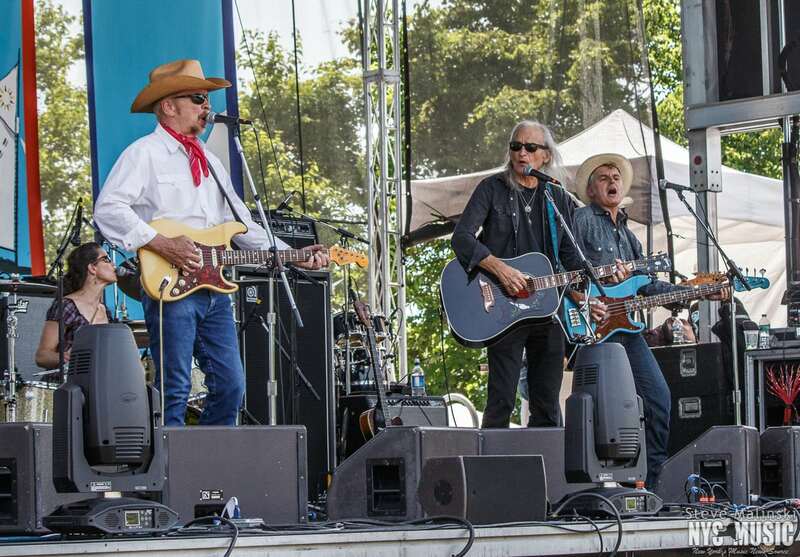 Closing the festival was a return headliner, The Mavericks, who kept the heat of the afternoon going through the sunset with plenty of dancing. 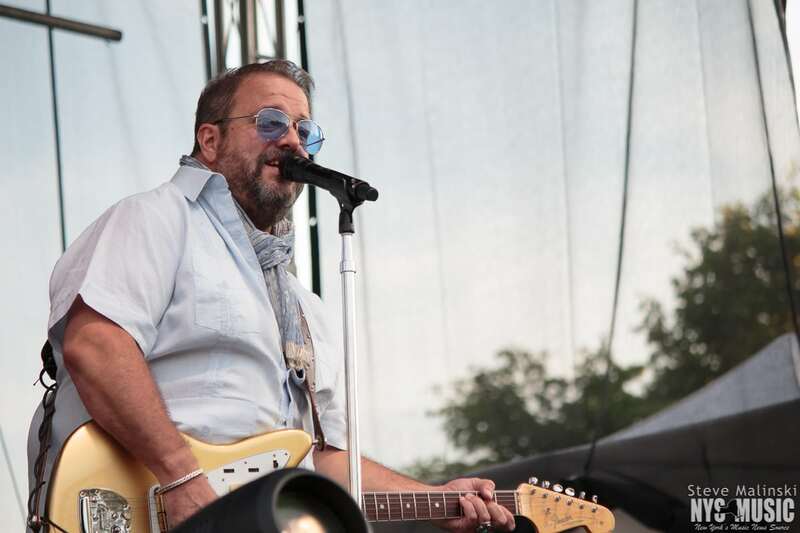 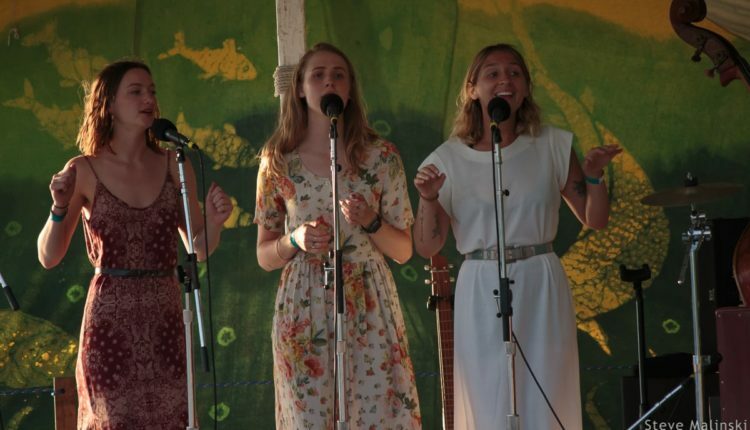 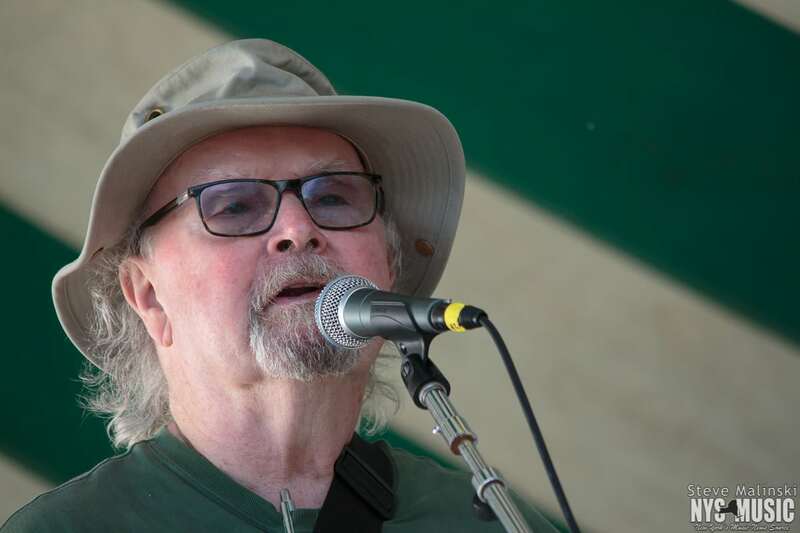 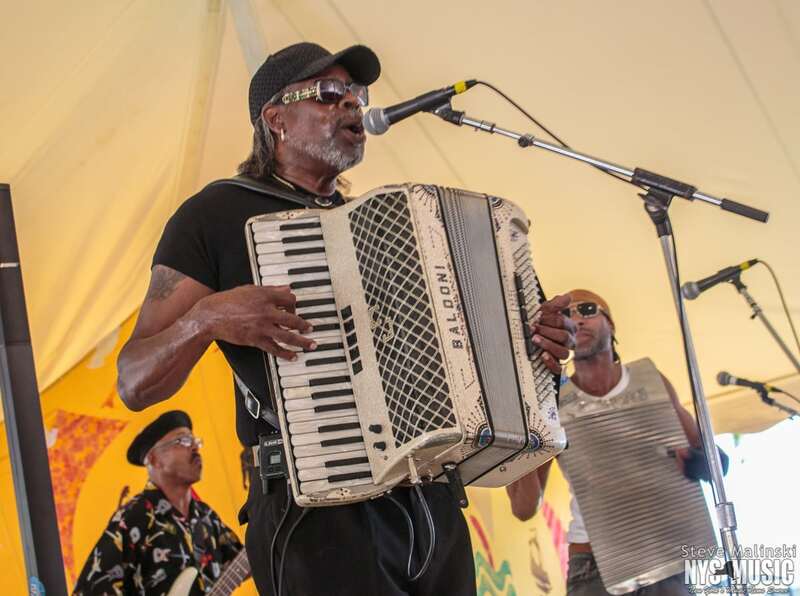 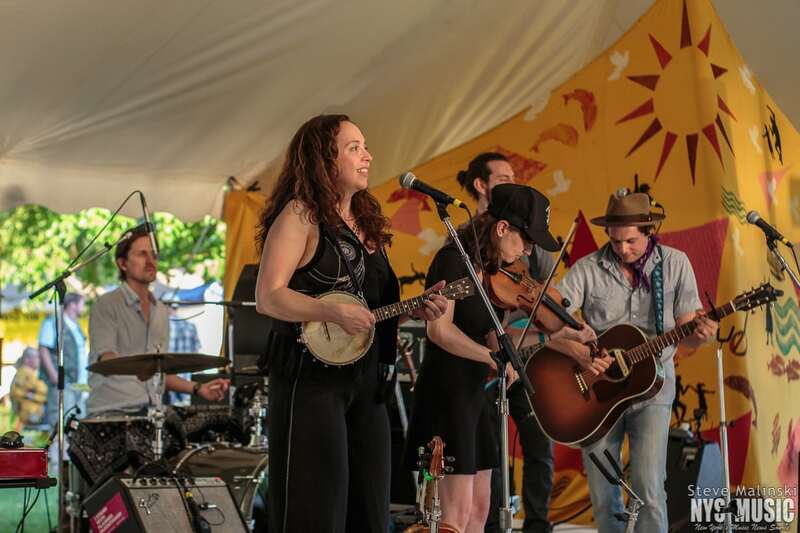 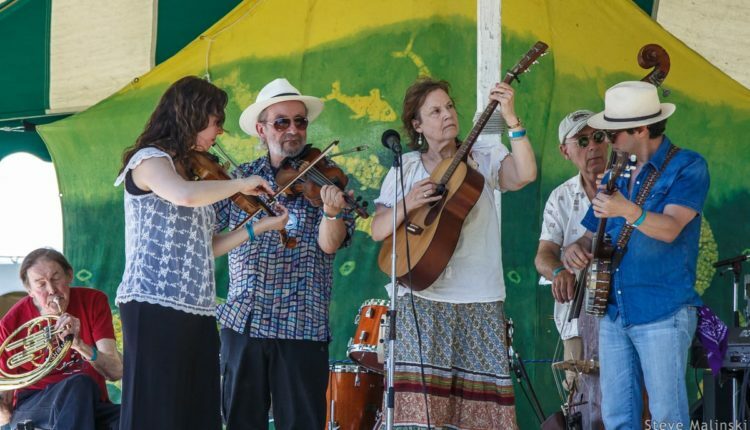 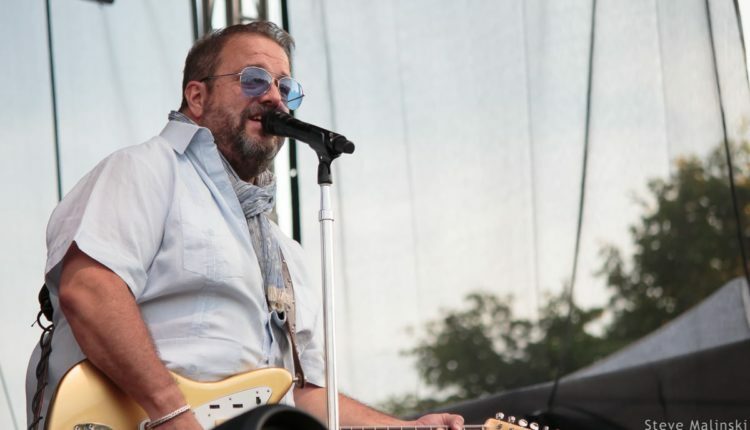 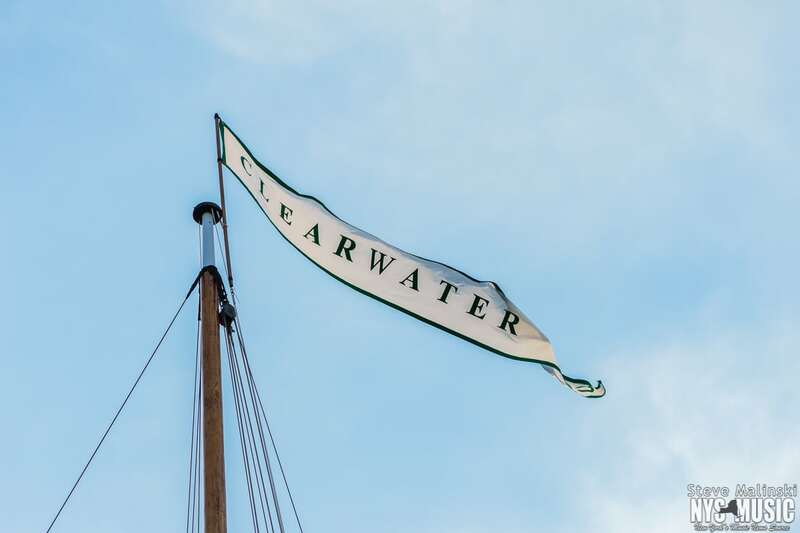 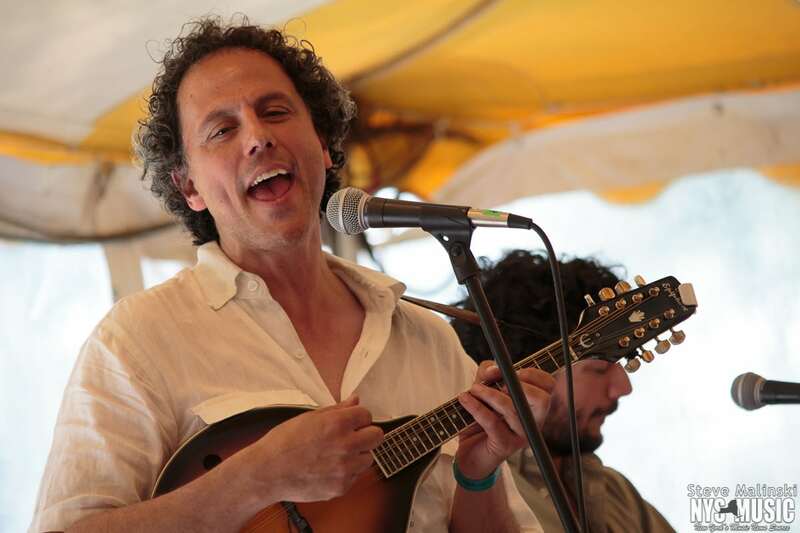 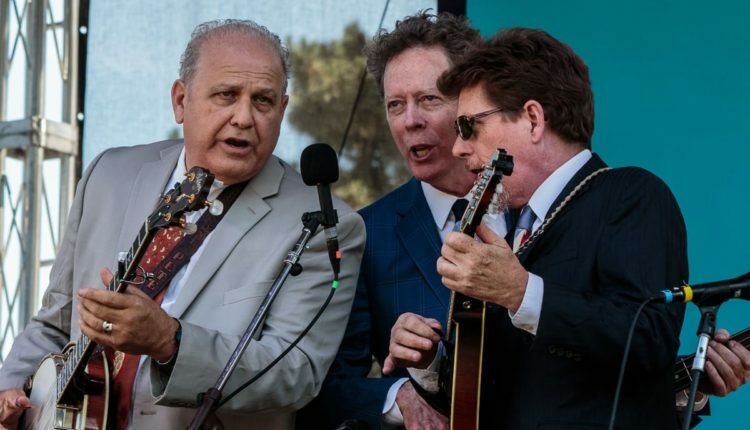 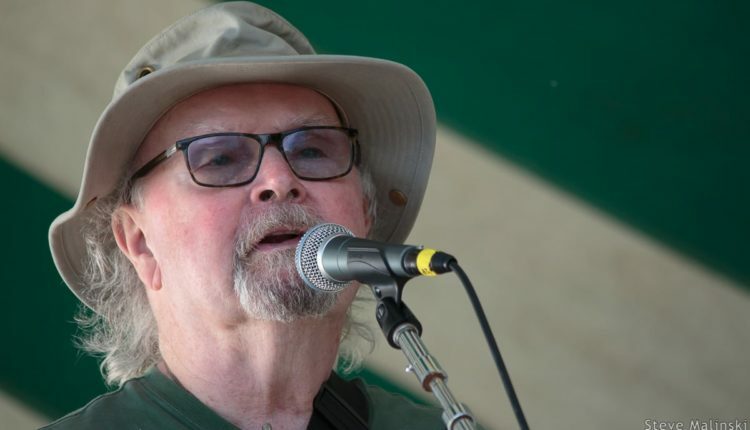 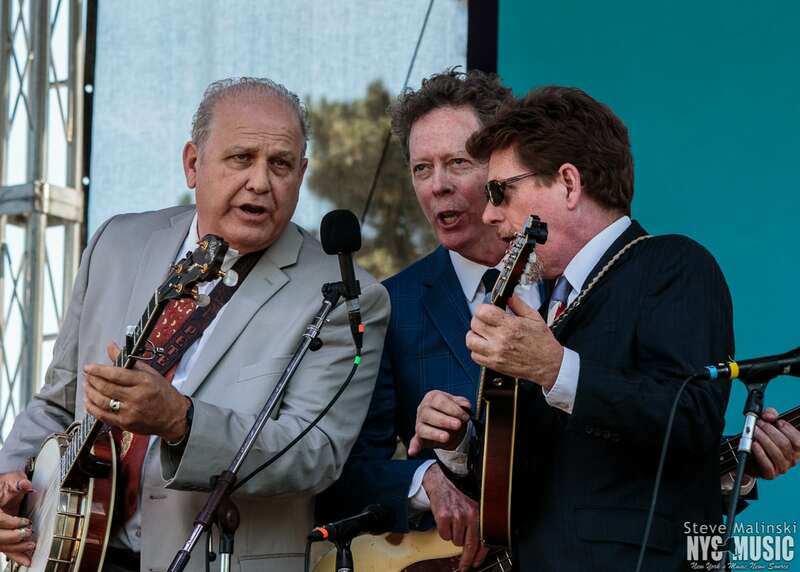 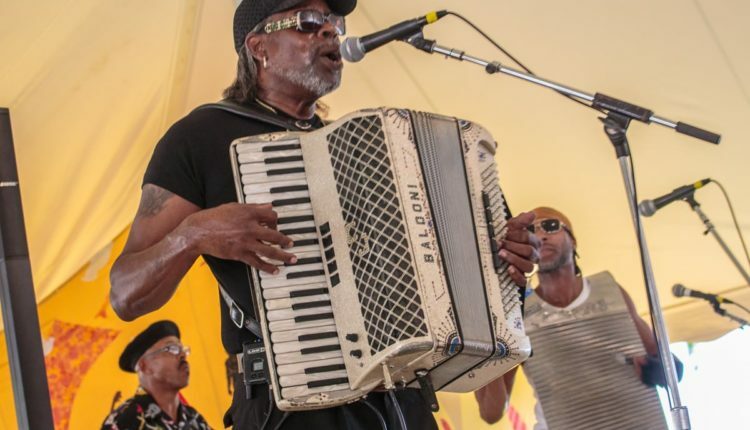 While a few bigger names have appeared in this year’s lineup of music, perhaps to keep current, Clearwater has remained rooted in its tradition over the many years since its founding by Pete Seeger. 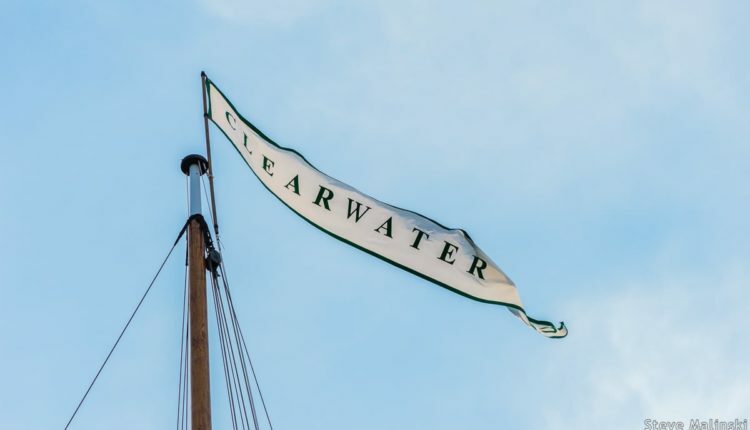 In Clearwater’s tradition of happening on Father’s Day weekend, it’s not too early to pencil it in on calendars for June 2019.